The final step in my project's development was assembling all the parts and connecting it to the speaker and minidisc player. In direct sunlight, the object looks really interesting. The light catches the reflective surface and highlights the texture and contours of the object really well. Once elevated, the object becomes more exciting enabling me to see it from top to bottom. I am particularly intrigued by the underside as this was once hidden and is now visible. I hooked up the pewter to the two wires, one which connects to the speaker and the other to the minidisc player. 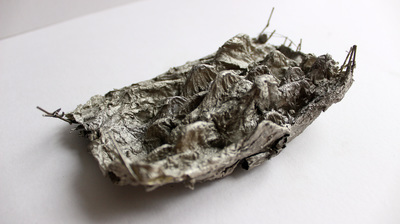 When pressing the button on the pewter which is completely hidden under camouflaged tin foil, the sound plays until the finger is removed from the button. I rephotographed the object on its stand in front of a white background. 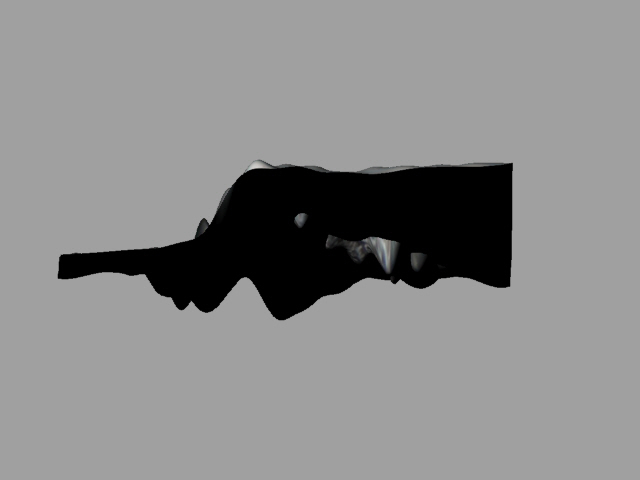 This replicates the settings I imagine the object would be in at an exhibition. The white, neutral background forces the focus on the object. Overall I am really pleased with my final outcome. It is something completely outside my comfort zone and utilises a lot of new technologies. It is really personal now it is an object I can hold and interact with and feels somewhat magical to hear my Nan's voice when touching it even though I know the process behind playing the voice through a button. 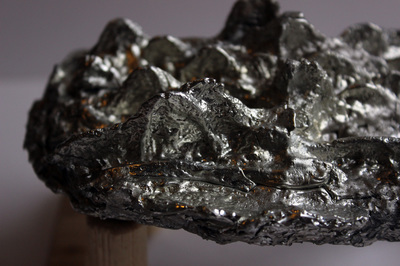 The metallic colouring and long lasting material of pewter reflects the preciousness of my Nan and how important her voice is even when we get annoyed by her constantly saying "It's all good fun innit". 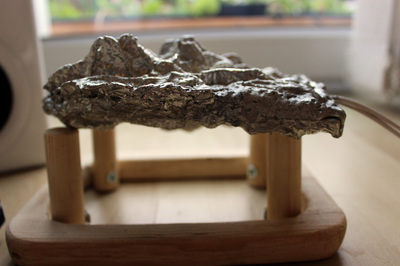 This project has made me appreciate that sound more now it is an tangible artifact. 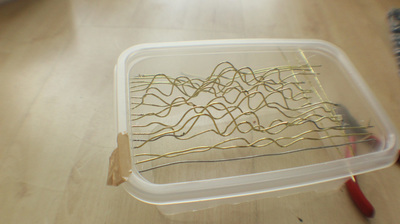 Although I wasn't able to use technologies I'd have hoped like BARE Conductive's circuits, I feel I problem solved well and came to a solution which still makes the object interactive and could be developed further. - Make the object smaller. Initially I'd have hoped the object could fit in one hand making it more personal and tangible. This could then be developed into something like a keepsake such as a pendant for a piece of jewelry to be kept close to the heart of the owner. I do like that the size of the object is almost too large and heavy to hold which reflects the difficulty in capturing sound in a tangible way. 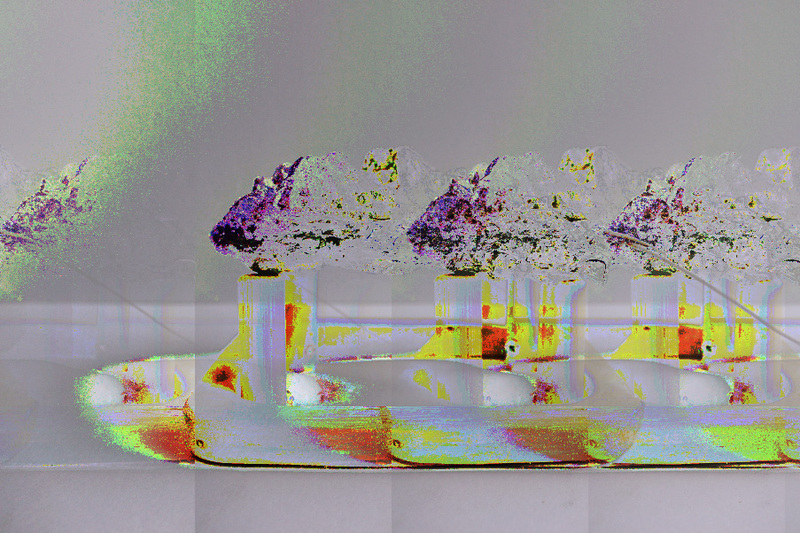 Finally, I used Audacity to convert the photographs of my final outcomes back to sounds and then back to images. Before converting them back to images, I applied effects again such as echos and phasers like I did before. I don't consider these to be final outcomes though they are still an interesting exploration and have potential for further development in another project. In this TED video, Abe discusses technology that reveals an objects hidden properties. He explores a variety of softwares which he has developed which use a contact free way of visually capturing subtle, minute movement to extend our sense of touch. He also used video to capture vibrations of sound using a high speed camera while playing sound. 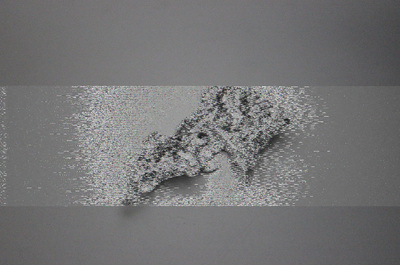 This captured motion which was not visible to the naked eye inside objects which could be recovered using his software. He then moved on to use regular video. He filmed basic objects such as a bush. To the naked eye we could barely see the breeze effecting the bush, though on analysis the software, Abe was able to create a simulation of forces to predict how objects will respond to new situations. The company designs and manufactures a suite of technologies that transform surfaces and objects into precise, robust and low cost sensors. Electric Paint is an electrically conductive material that makes it possible to turn any surface into a sensor. The Touch Board is a piece of hardware that can transform Electric Paint sensor data into any output, such as sound, light, movement or data in the cloud. The Touch Board is the most interesting to me and could work to connect to my object to make it into a sensor so when the object comes into contact with touch, the object makes a sound. On further research it became clear that neither of these ideas would be possible in my time frame and budget. I therefore began to think about adapting such ideas to create a sense of the same sound transformation when touched. I discussed how this would be possible with my Dad who is an electrical mechanic would works with electrical engineers and therefore has a knowledge of circuits and similar technologies. We discussed how we could use technology we had readily available such as speakers, tape players, CD players, minidisc players or laptops. My Dad also had access to wires and soldering equipment. I began my experiments by creating a basic diagram as below as to what my Dad and I thought may work. 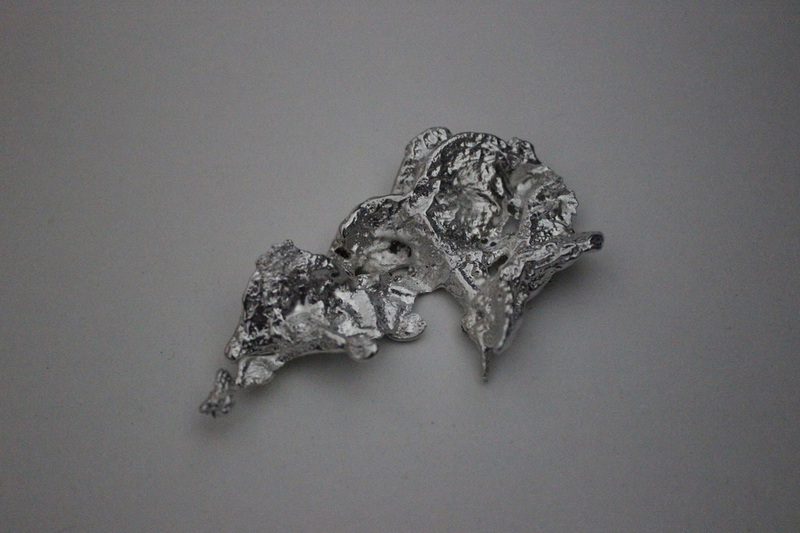 This involved connecting the pewter on either side, one side to the speaker through an AUX cable and the other side to a sound device through another AUX cable. We decided to use a minidisc player as we could quickly and easily record the sounds to a disc to play back on contact with hands. We could have used a tape player here however we had no device to record onto a tape with. The benefit of this would have meant a continual playing of the sounds where as, I had to create a 20 minute long loop of my Nan's voice to ensure the sound would still be playing once the pewter was touched; digital technology would automatically turn the sound off where as the tape player would continually play. 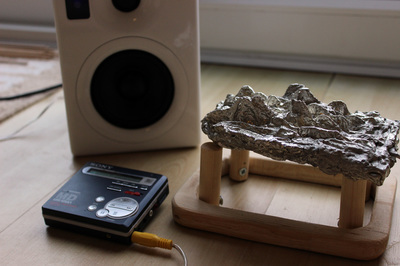 I then considered masking the wires and speaker and minidisc player in order to heighten the idea that the sound was actually being generated from the pewter and not another source, in turn fooling the viewer and making it more obvious the object was a translation of the sound. After speaking to my Dad, we soon realised the above diagrams were going to be difficult to work with due to our lack of technology. Our hurdle came when trying to work out how to stop and restart the current in the pewter. 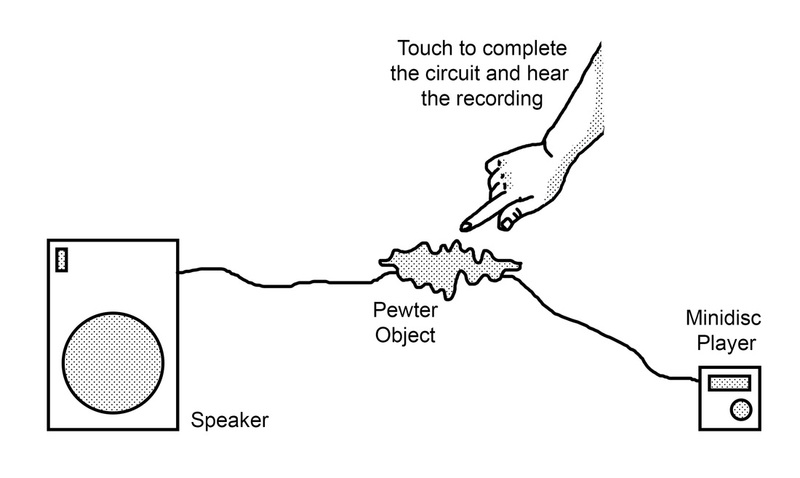 Although connecting the wires to the pewter would continue the flow of the current, we had no way of stopping and starting this current to stop and restart the sounds on touch. This is where the BARE Connective circuits would have worked perfectly however it was too far out of my price range. After long thought, we decided the only way to make this work was to hide a button in the pewter which would turn on and off the sounds, replicating the appearance that the touching of the pewter causes the sound. 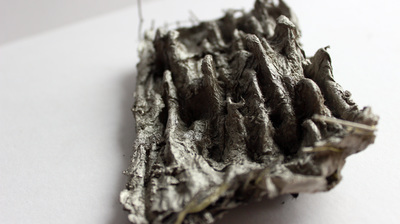 We therefore secretly cut a space for the wire and the button between the 2 layers of pewter which had not been connected yet. I also drilled a hole in the pewter for the button to subtly appear on the surface of the pewter. Following the installation of the button which I fixed into place with super glue, I began soldering the two halves together. 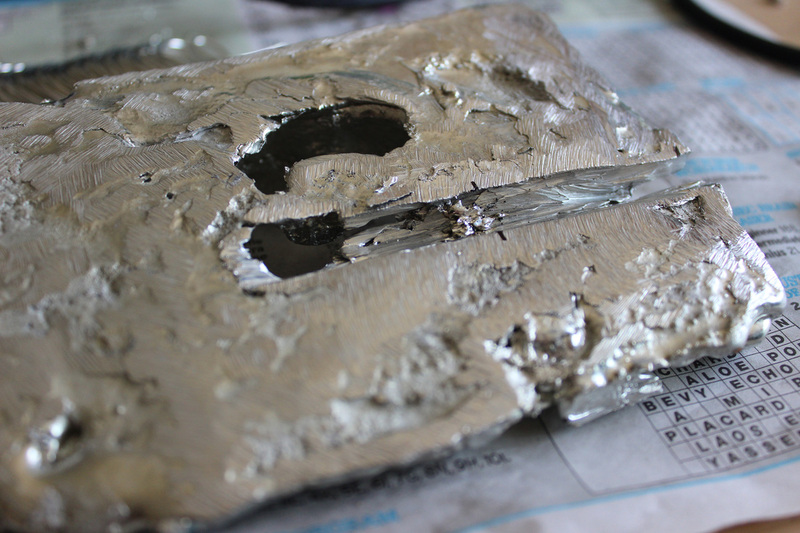 This was very difficult and involves using a hot gun to melt solder and fit into place. It worked well when all sided were complete however the solder did burn in some places leaving black marks on the surface. To cover them I painted on some white gold spray paint which actually covered the marks well and helped to fill any dark gaps. It took a while to colour match the silver as the pewter itself has a yellow tinge. Overall, I am very happy with how the final object looks and feels! 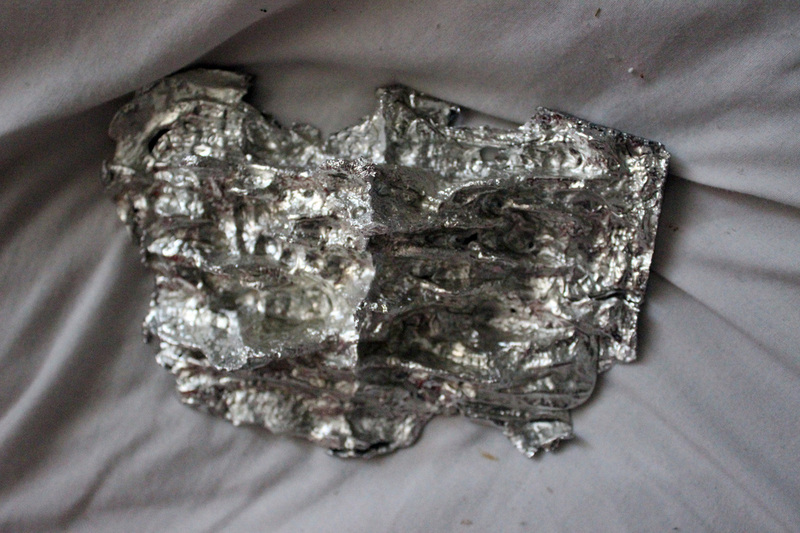 I also hid the button by covering it with tin foil and camouflaging its appearance with the same spray paint. 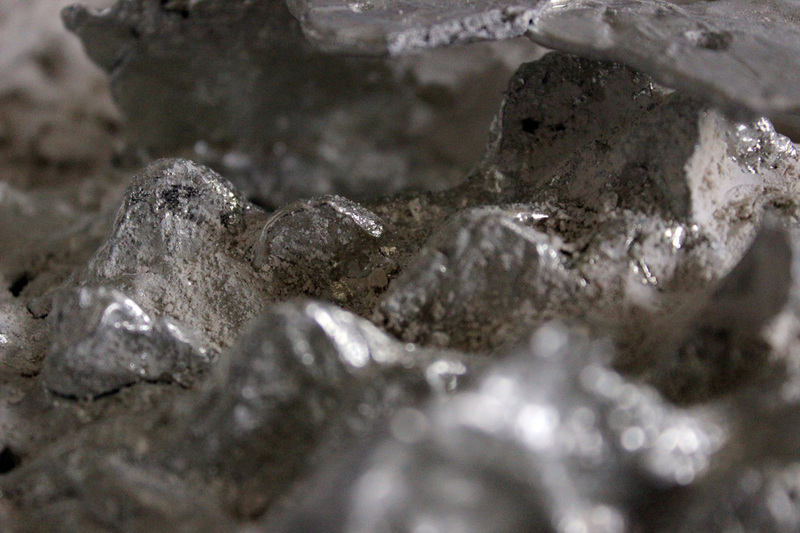 This made it almost completely invisible on the surface of the object. To display the object I imagine it in exhibition, like the Tate Sensorium. 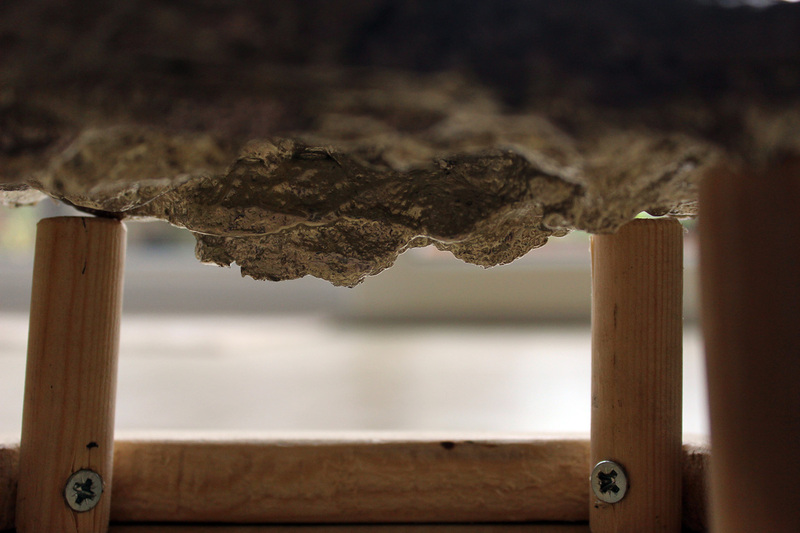 In order to see both the top and bottom of the sculpture, both of which are important in communicating the sense of sound, I needed to think of an way of elevating the object off the ground. As with the diagrams above, I felt a plinth would work best as this would stabilise the object making it easier to touch or handle. 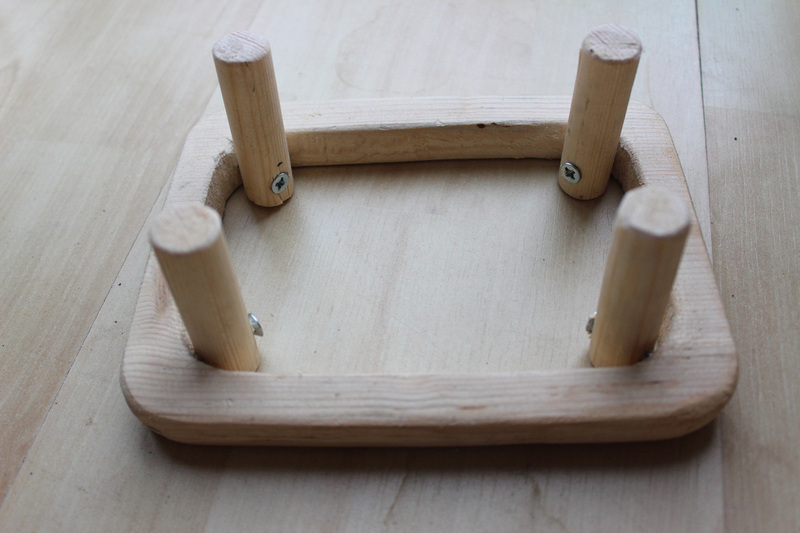 To keep the bottom and the top visible, I built a stand for the object using wood. I build and assembled 4 posts on a base. Initially I wasn't going to use a base however the weight of the pewter object is over 1.5 kg meaning the posts alone wouldn't hold its weight. If I had more time, I would consider the base more, perhaps using 'invisible' materials such as glass thus not to distract from the object. The size and weight of the object make it almost impossible to hold reflecting the difficulty in capturing sound in a tangible form. 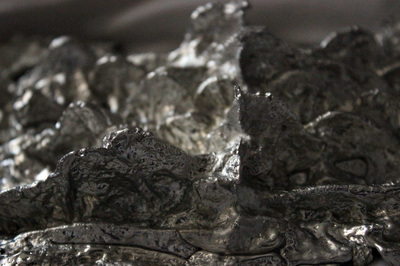 Using the spray paint, I also sprayed the paper mache cast from earlier in the project on a whim to see how it looked. 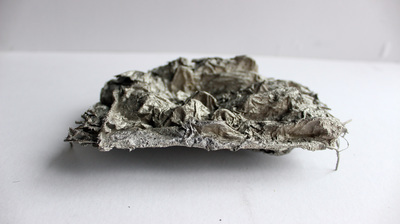 To my relief it does not look as interesting, ornamental or precious as the pewter object though it is still interesting in texture. 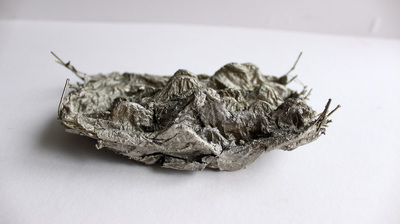 It's fragility contrasts the pewter object and would therefore represent a different communication to the pewter. Removing the pewter from the casts revealed the final model. It is so interesting (and relieving) to see how the image has progressed from a sound into a 3 dimensional object which is highly contoured and textures. Personally, I am enticed to touch the object simply by looking at it, causing that instant interaction. For other, a prompt may be necessary. 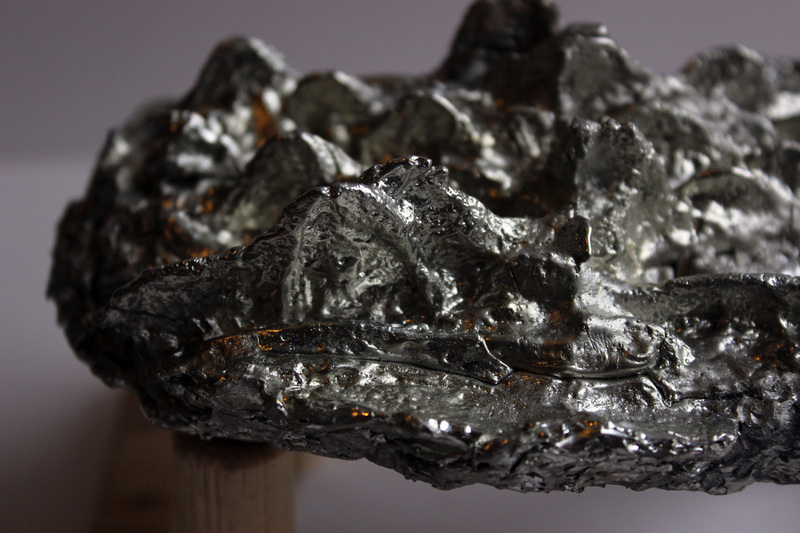 The pewter has become resisiliant and should stand the wear of human contact. The silver colouring does reflect an object that appears precious like the sounds of the voices they resemble. You can clearly see imperfections in the images below however I plan to leave these. 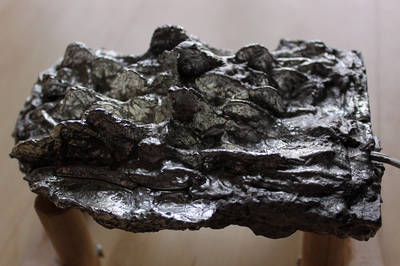 Although the sculpture becomes more inaccurate as a representation of the sound with these imperfections, they add another point of interest and cause the viewer to question further. They could also resemble imperfections in voice and its vulnerability when gaining a cold or a sore throat. Alternatively, the imperfections have sources from a crack in the plaster. 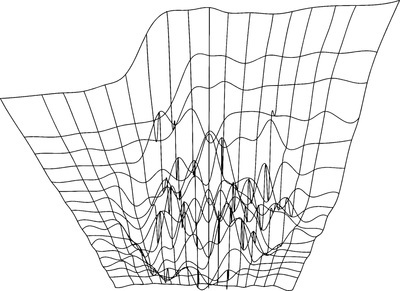 This could represent a breath between words or a spike in pitch. My next step is to somehow make the image interactive and entice viewers into touching and physically interacting with the object. 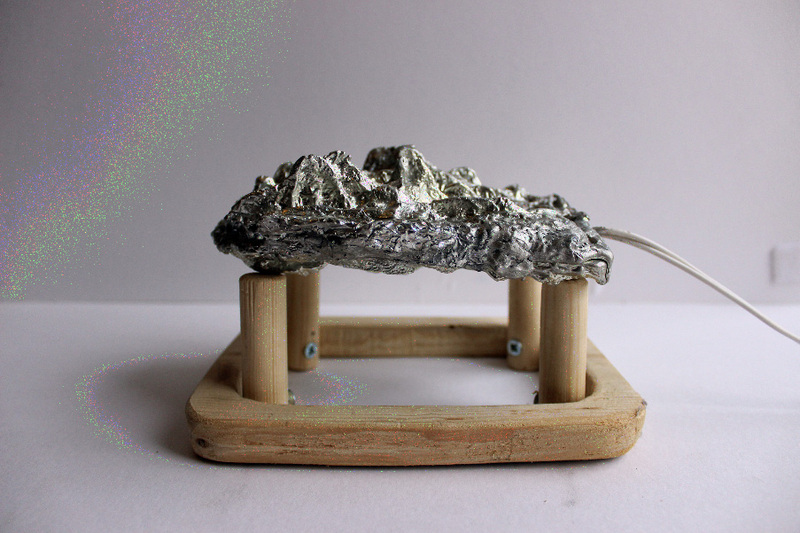 I plan to research ideas from my crit such as BARE Conductive or attempting to develop ideas with Audacity further. 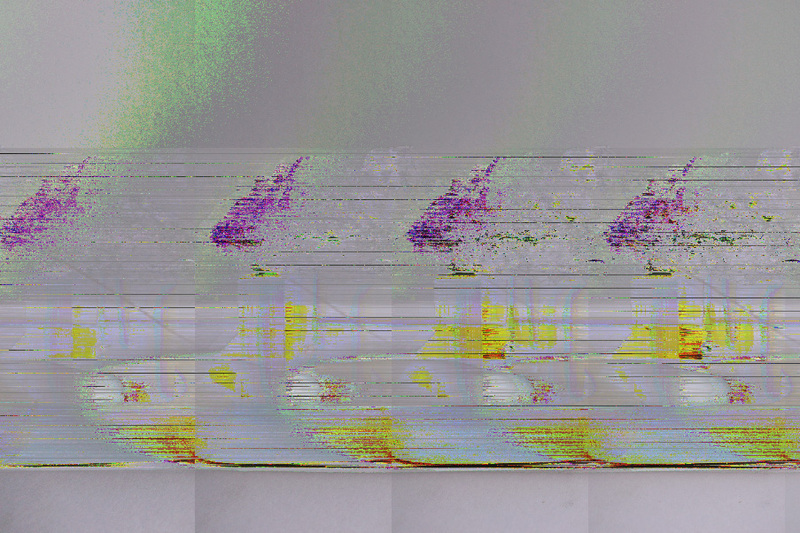 After my chat with Luis I began exploring the idea of databending my object. 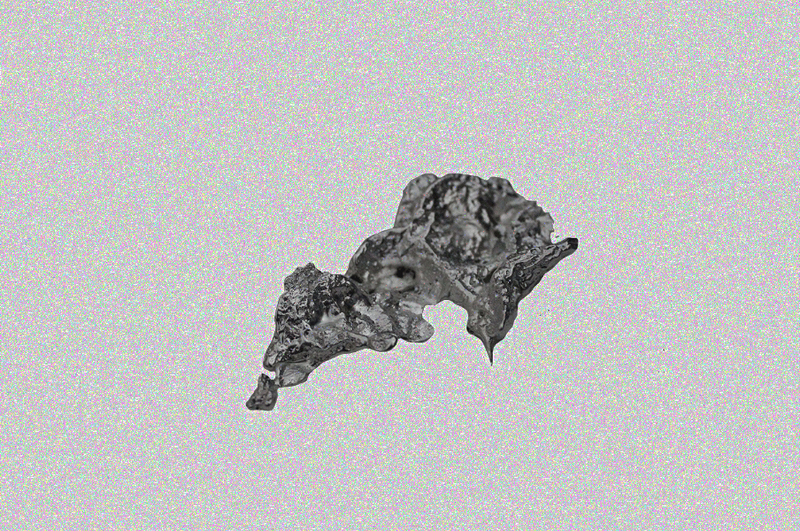 As I'd not yet completed the final object, I started by using the test I'd made. 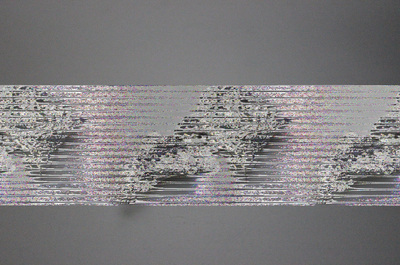 Databending is the process of manipulating information from within a media file of a certain format, using software designed to edit files of another format. Distortions in the medium typically occur as a result, and the process is frequently employed in glitch art. 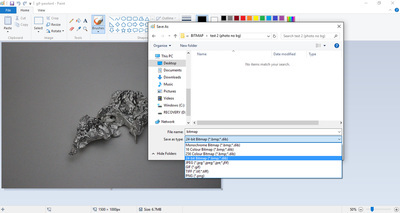 Using this tutorial [link here] to help me, I converted my image from a JPG to a 24 bit bitmap file. I then imported this in RAW to Audacity which converts the image to an audio file. The sounds created are really interesting and nothing like how I imagined though I'm not sure what I really expected. As you can here in the below recordings, the sounds from the image of the object sound nothing like the original recording, more a distorted white noise. Of course this is not an accurate representation of the object as it is simply a photograph. I wonder how the sound would appear having been able to generate an accurate 3D, digital representation of the object though I didn't have the technology to do this. 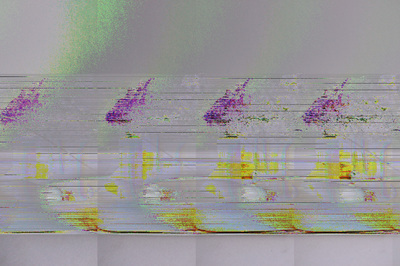 Once in Audacity I could re-export the files as images. This distorted the original image, especially when I began applying effects such as echos, phasers and wahwahs. 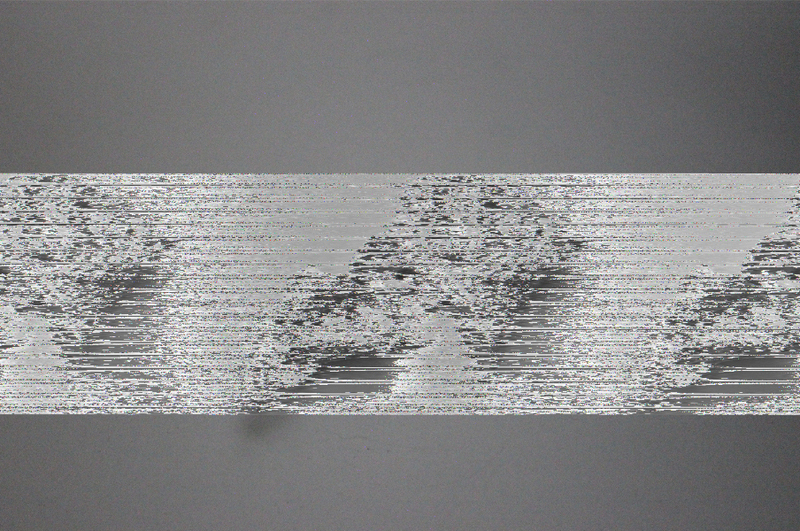 As you can see in the images below the recordings, this data-bending has appeared to glitch the original image through its translation to sound and back to visuals. 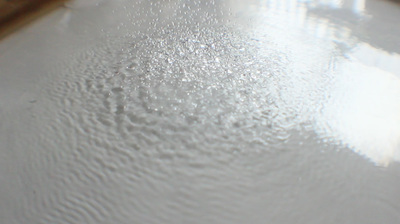 The sounds created sound similar to the sounds of tree rings played on a record player, a video Claire recommended watching following the crit. This video uses a cross section of a tree stump on a vinyl player. Again, this sounds like white noise with elements of echo and depth.​ Both sounds are very atmospheric and somewhat dark, creating a sense of mystery and the unknown. 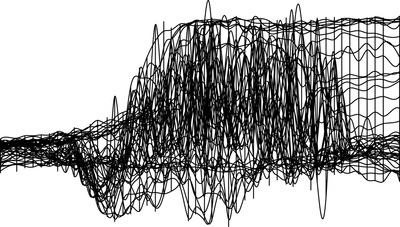 This could represent the continuous vibrations that the objects experience with we cannot hear or feel without technology. Similar to my charcoal experiments, I actually really like the still images the sound conversions created. They're unusual and unpredictable and I enjoy the fact I wasn't able to control them to some extent. I repeated the same process after removing the background in the image. I wondered if the background colour had any influence on the sound and, to my surprise, it did. 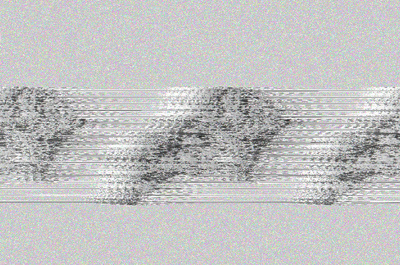 With a white background, the beginning and end of the sound clips were silent until colour was found. To convert the object back to a sound file. I could do this by using a piece of software called Audacity. Members of the crit group noted how Luis Jacobs had attempted something similar so I had a chat with him following the crit. 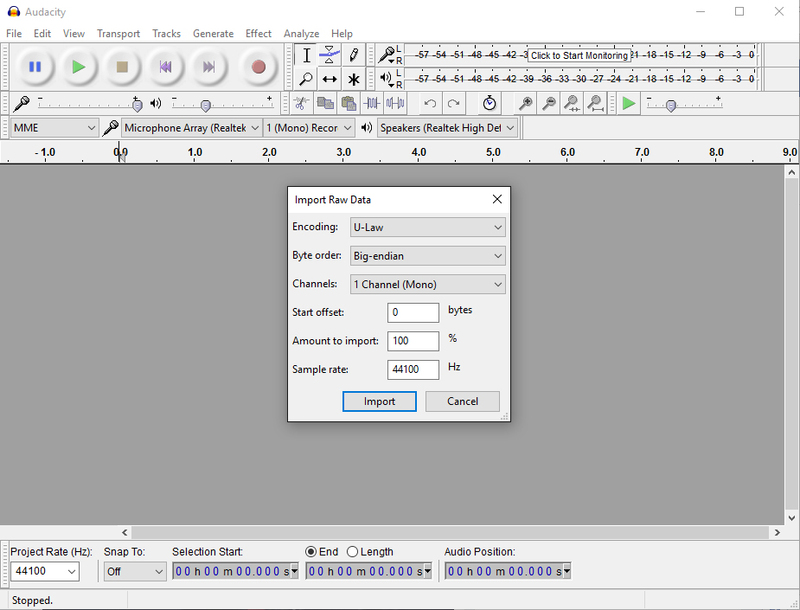 From the discussion I found that Audacity is capable of something called Databending where it uses a RAW bitmap file and translates it to audio. I plan to experiment with this idea. 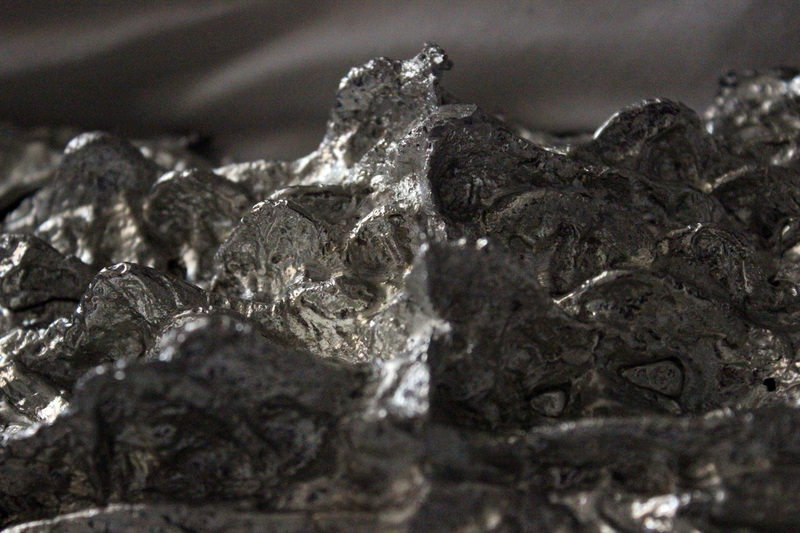 Jess suggested I used another material instead of pewter such as wax. 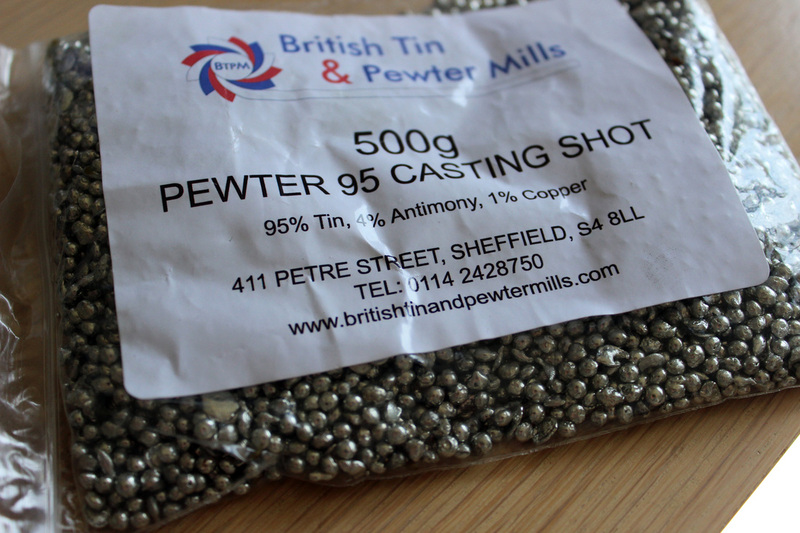 This would have been much cheaper and easier than the pewter I am using though I'm not sure it would convey the same sense of importance/preciousness or long-lasting, hard-wearing properties that the metal has. The most exciting suggestion for me was how to make the object more interactive and entice people to touch it. 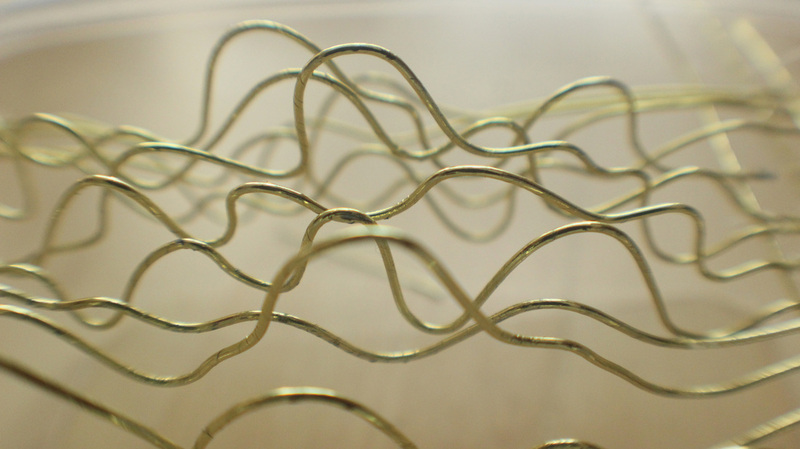 Stewart directed me towards a company BAREConductive [link here] who build circuit boards that make any conductible material sound sensitive. 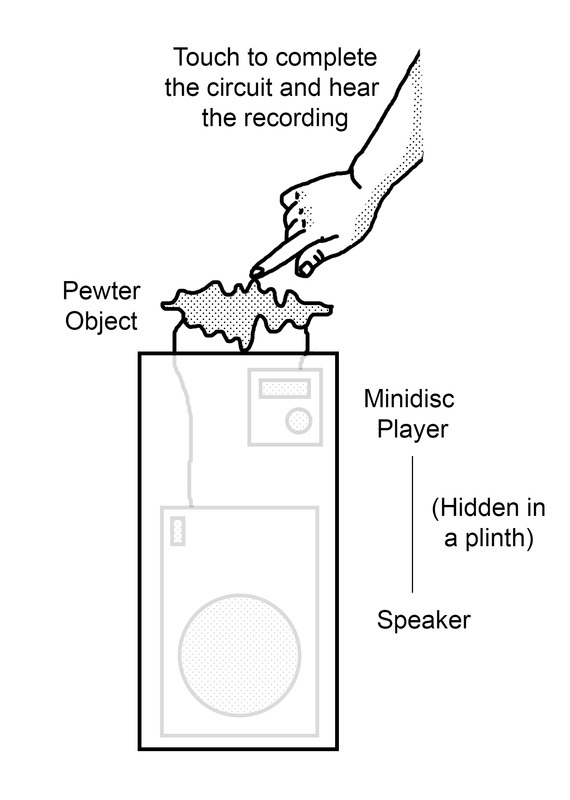 This led me to consider the idea of somehow making the object play sound when it is touched. I plan to speak to my Dad more about this as he is an mechanical engineer who works with machines and circuit boards etc. Hopefully he will have some knowledge. Before this project had begun, an artist and past Brighton student, Daniel Clark [link here] came into uni and spoke about his work. It was here that I'd really begun to understand how I enjoy employing interactivity within my work. Daniel also considers sound within his work. 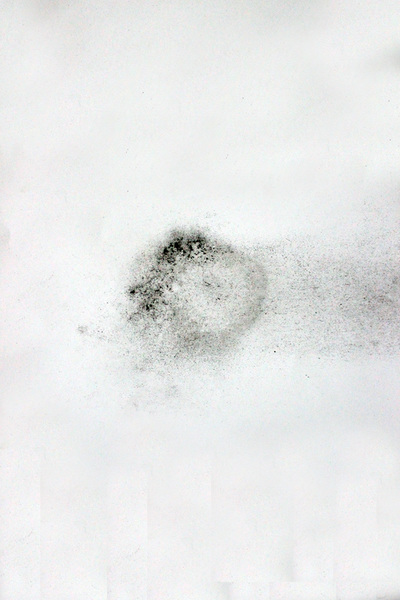 I particularly liked Daniel's voice prints. 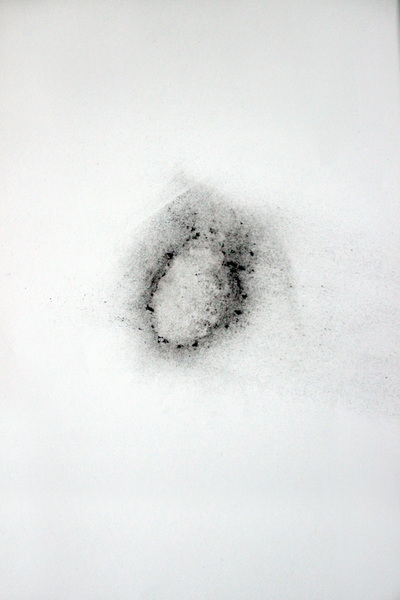 Daniel uses a photopolymer gravure to create this voice prints which are a representation of the sounds of his family and overheard conversations. 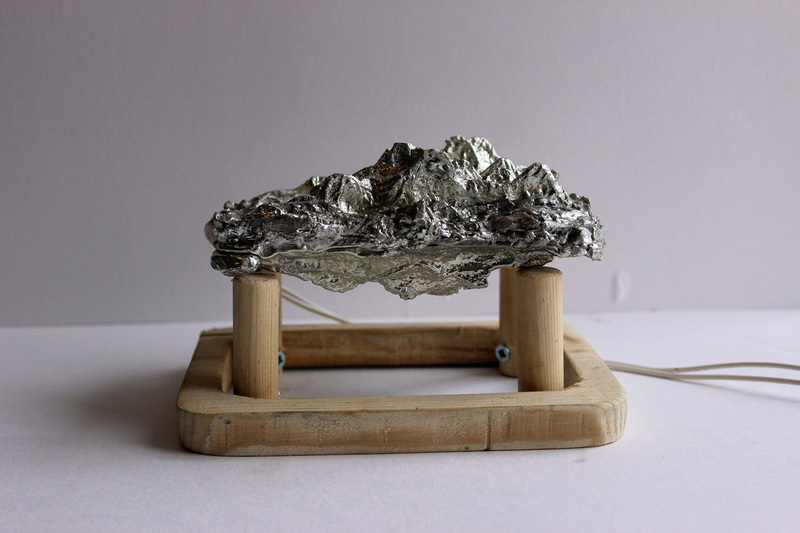 My project therefore is strongly inspired by Daniel and you can see similarities in the imagery he creates and my ideas so far through the translation of sound to visual and, in my case, sound to tactile object. Both forms look visually similar through their fluidity and monotone colouring. I am also inspired by Daniel's combination of senses. His voice prints are combined with the original sound recordings. This draws the comparison and hints to the viewer that the imagery is in fact a translation of the sound. At the moment, I'm not sure you would look and my image and realise it is a translation of sound so I therefore want to experiment with highlighting this further. I began by simply playing the sound while viewing the object and also this did heighten the idea that the object could be a translation of the sound, it wasn't too obvious. I next played upon the idea of the looping sound. 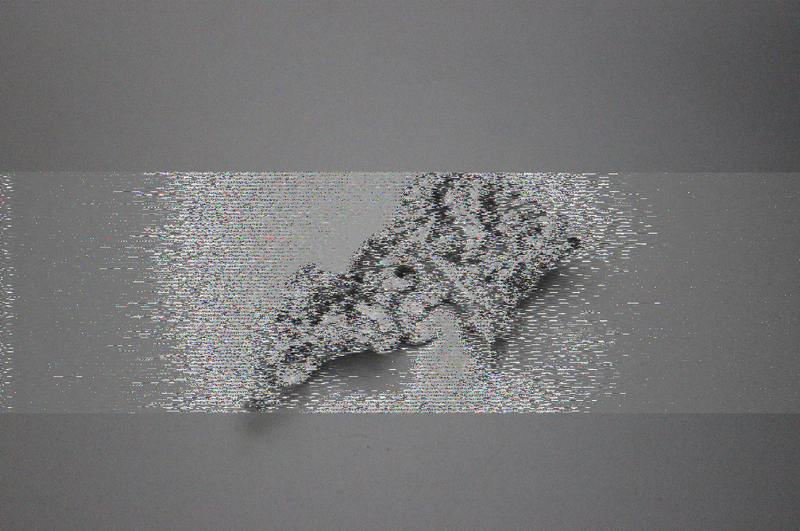 I photographed the test object from a variety of angles and created a mini animation of the object rotating (the final object was still in the mould). 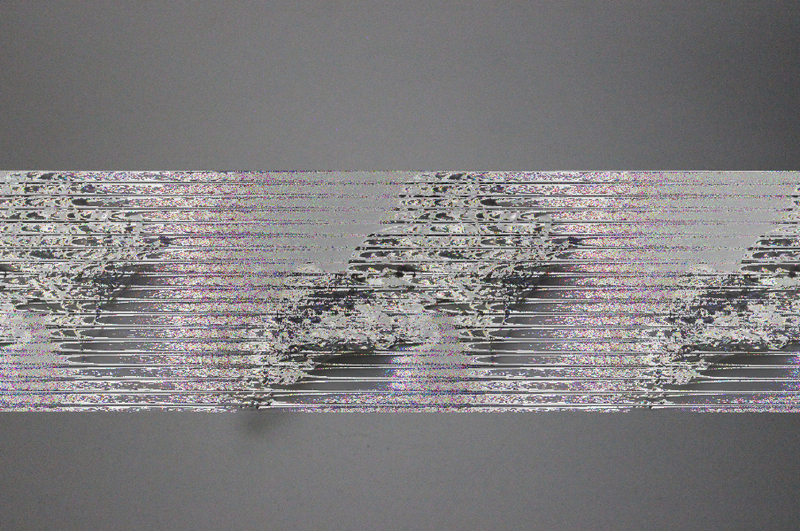 This was initially just a way for me to document the object however, when combined with sound, the rotation of the image mimicked the looping sounds. The sounds were somewhat driving me crazy by now, and by combining this with the looping imagery, the overall effect was so annoying. For someone who wasn't exposed to the same sound for as long as I'd have been, the animation may be more intriguing. The repetitive nature of the sounds does link to the reasoning behind using that particular phrase as it is something my Nan says every day when she phones my house every morning and every evening. The loop reflects this repetition. I felt the video below loses the interactivity I'd hoped for. Also, the fact the image is still intangible means I hadn't fulfilled my aims to translate sound to touch though the object itself did do this. 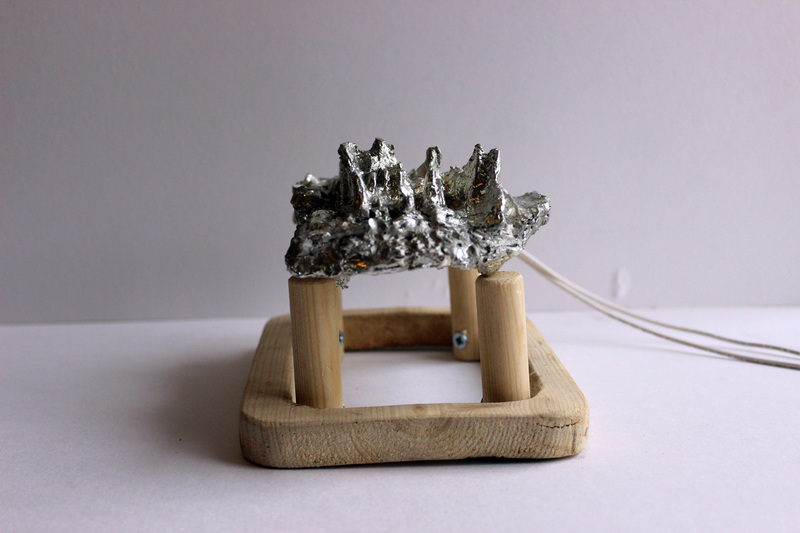 I want to somehow create a way of making this a more interactive object, one which you touch to 'hear'. I plan to raise this issue in my upcoming crit with the hope that other people's ideas would help me develop my ideas further. When recasting my model, I really considered the material as this would be the thing people would ideally see and interact with in a tangible way. 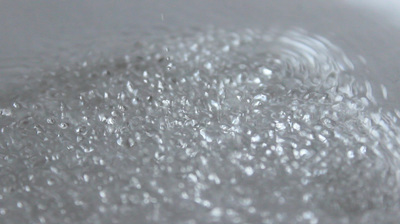 I needed a material that would withstand touch and not wear. Due to using the model being a representation of my Nan's voice, I also wanted a material that represented importance or value to represent how valuable my family is. 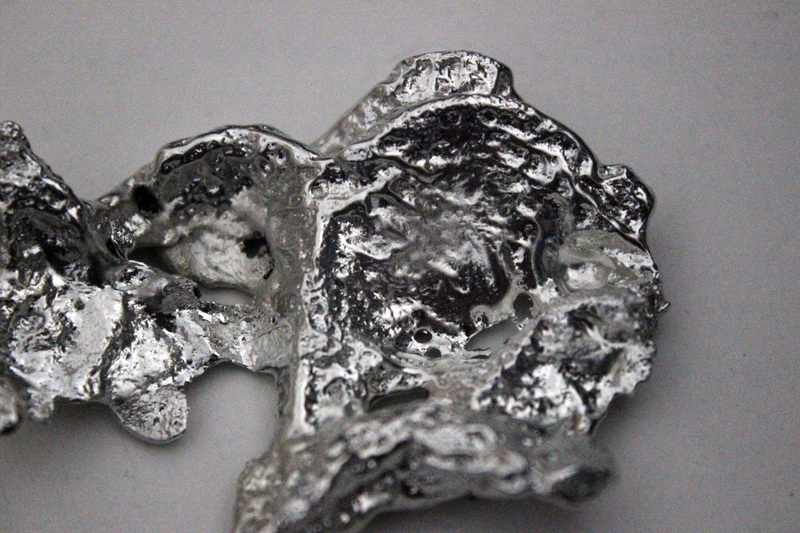 I therefore decided to explore some sort of metal as this is typically strong and its metallic quality suggests value. These properties would mean I could easily use this metal in comparison to other metals. 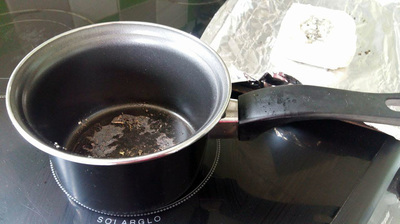 I began by melting the pewter I had (500g) in an old saucepan. 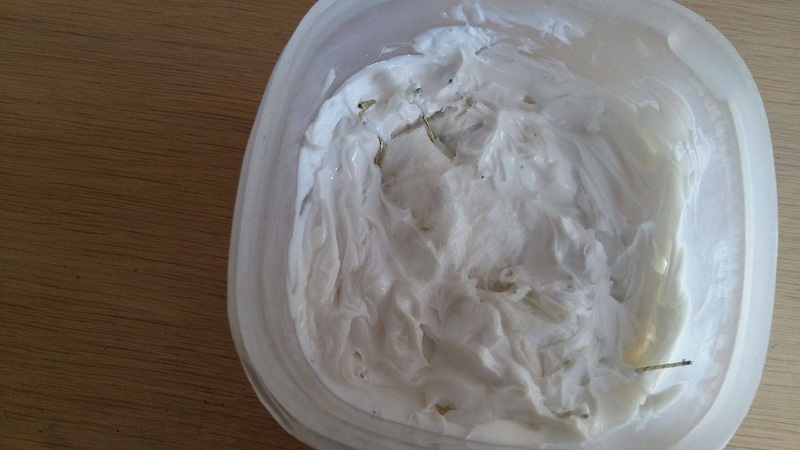 It melted surprisingly quick and became very running and easy to pour. 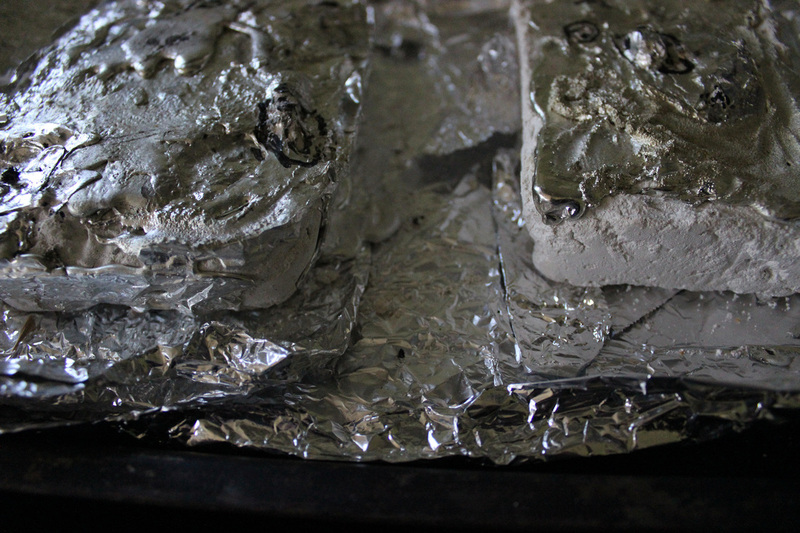 Using my test plaster of paris cast, I poured my pewter into the mould. 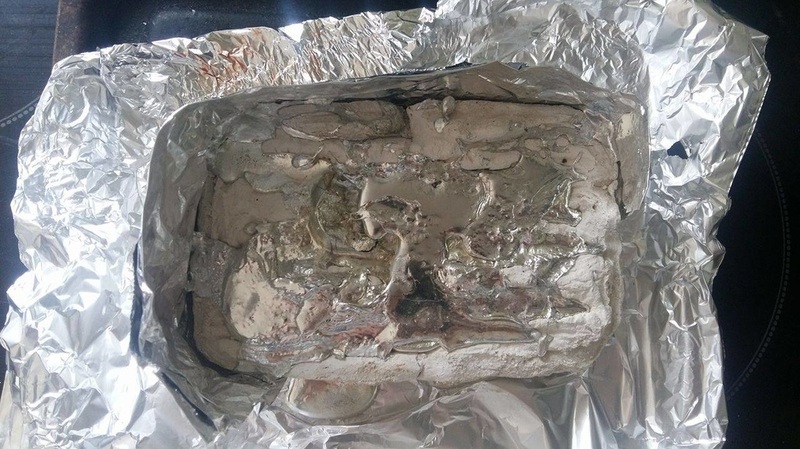 I was initially worried the plaster of paris would not withstand the heat of the pewter and crack though fortunately it survived. The pewter was a fairly difficult material to control; as soon as it was removed from the heat, the pewter began to cool and solidify, especially when coming into contact with the sides of the saucepan. It also became important to pour continually as otherwise the pewter would melt in clumps rather than a whole object. I left the pewter to dry in the mould until it was cold to touch. 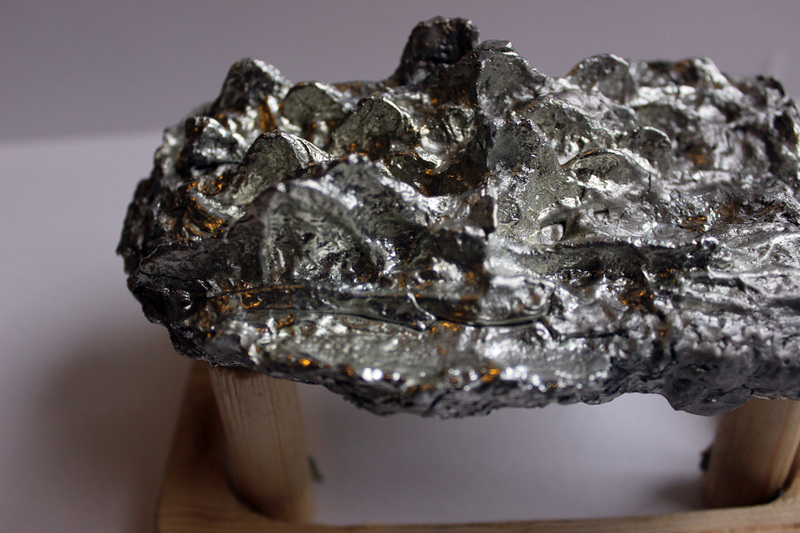 To remove the pewter, I at first tried to pull the object out though it was certainly stuck. 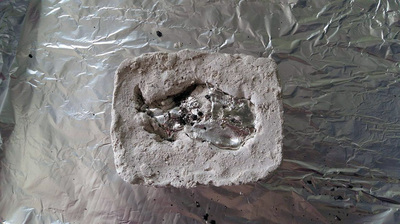 Instead I broke the plaster of paris around it. This became another essential property of the plaster and an accidental benefit. I continued to break the plaster until the object was freed. 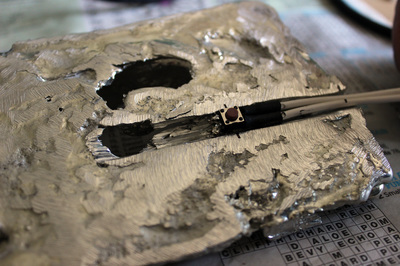 I then used an old toothbrush to scrub out the remaining plaster and tidy up the object. ​As you can see, the image below of the cast is really interesting. The metallic qualities highlight the movement in the cast which is a representation of the sounds. The texture is also really interesting. The size and metallic qualities also appear very personal and valuable, highlighting the importance of my family and their voices. ​Due to the test's success, I followed the same process to create my final model. 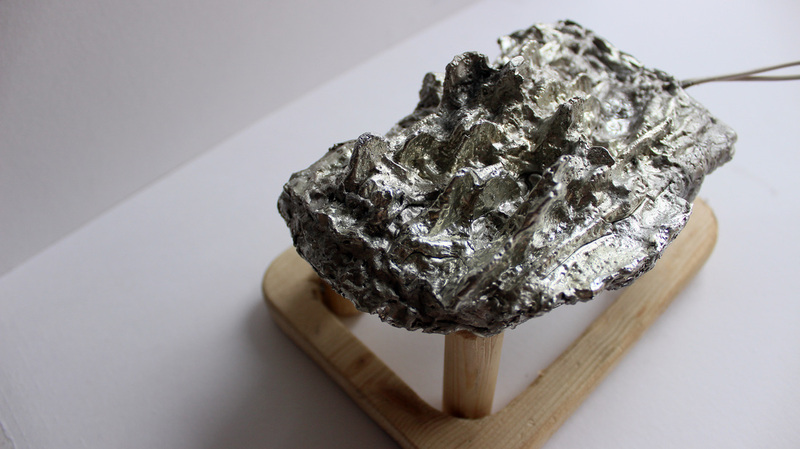 Due to the model being much larger, I built edges around the mould so the pewter would not just simply pour off. 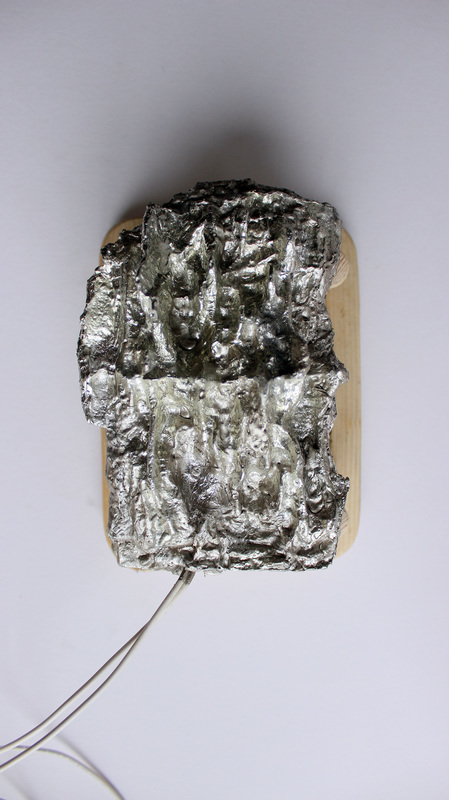 I used tin foil for this as I knew it would withstand the heat of the melted pewter. 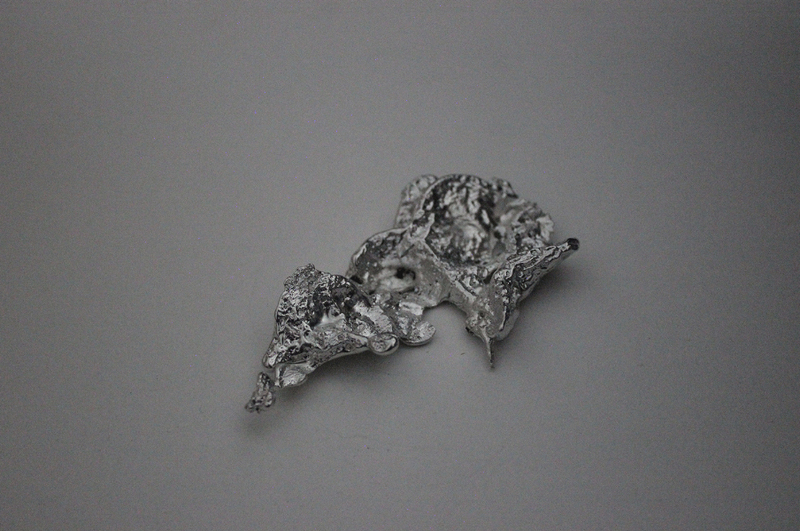 I remelted the test model also to gather more pewter for use. Unfortunately, on the first mould, I'd already run out of pewter. 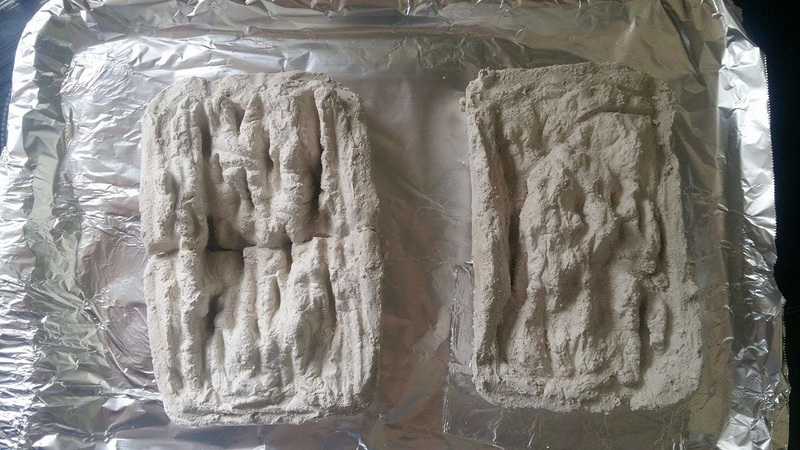 I therefore had to order more in order to complete that mould and the second (bottom). I next re-casted the test model. I'd created a test model in case the casting didn't work and the model got stuck within the materials. Choosing the material to do this wasn't easy so I used a variety to explore what worked best. I begun with silicone sealant. Silicone, when dry is malleable meaning I should easily be able to bend it to remove the model from inside. Unfortunately, due to the quantity needed to cover the model, the silicone wasn't drying quick enough for me to progress with the project so I began considering other materials. This meant the model got stuck so it was lucky I did use a test model else I'd have had to make a whole new model. 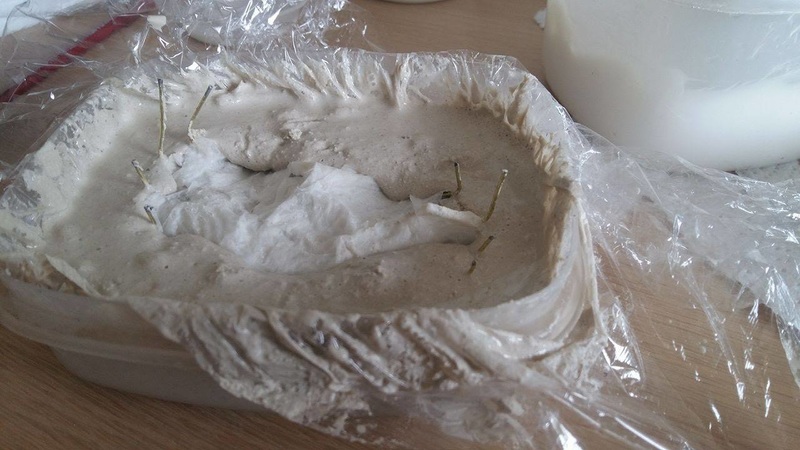 I next explored the use of plaster of paris. I made another test model for this in case the same issue occurred like the first test. Plaster of paris dries within hours rather than days/weeks like the sealant meaning I'd be able to recast the test model within the time frame of the project and then again with my actual model. 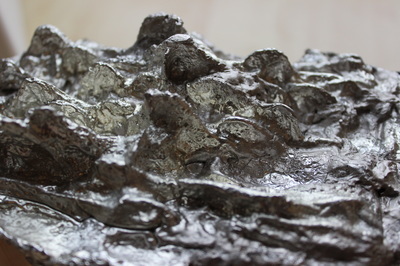 Once dry (around 24 hours later) the model was easily removable. 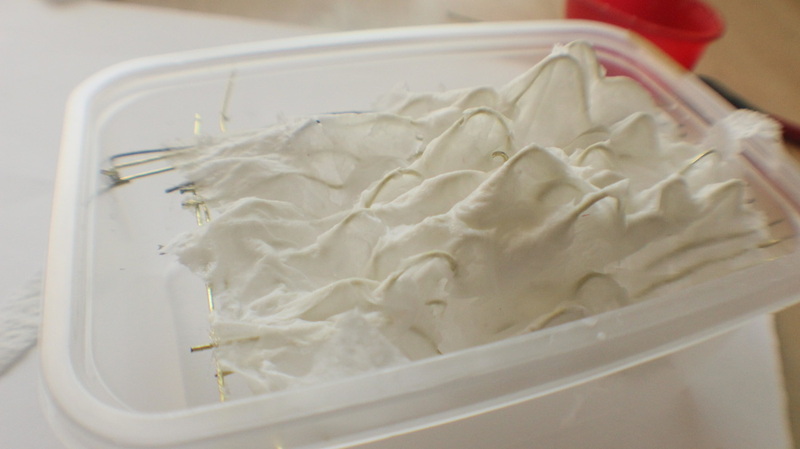 I therefore used the plaster of paris to cast my actual model (the wire sculpture from the previous post). 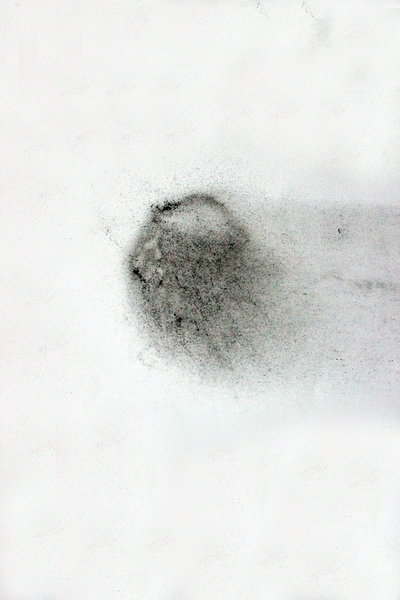 The image below shows the plaster once the models had been removed. 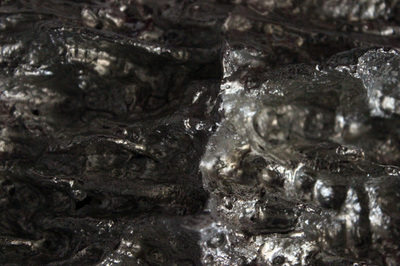 Its difficult to see in the images below however, the cast is highly detailed and the texture is really fluid and highly marked. I did have the issue of delicacy with these casts as they kept breaking in two halves though I continued to repair them until they were strong enough to take the material I would pour to recast them. I was excited by the unpredictability of the recasting as I had no idea how it would look. As I mentioned in the last post, I wanted to paper mache the wires to fill the gaps and therefore make a surface which would complete the contour. 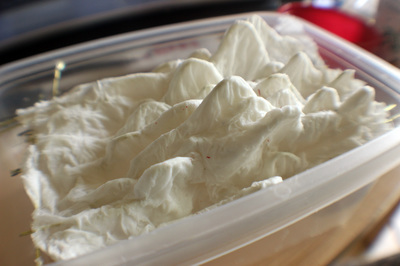 I chose paper mache as it is quick, cheap and easy to do. 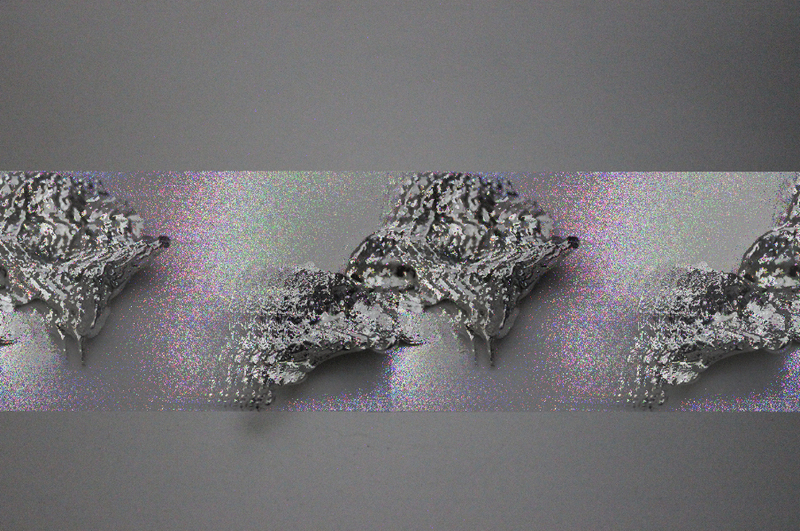 The outcome created a 3D image which was highly textured. 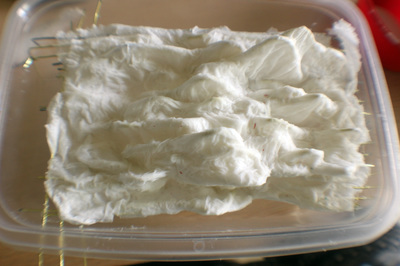 I didn't use the tissue with the intention of creating such texture though the accident was positive and became intentional following its discovery. 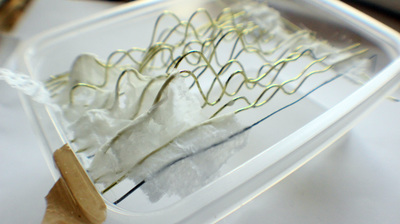 The tissue from the paper mache added to the fluidity of the wire sculpture as it appeared to flow where parts had bunched up. 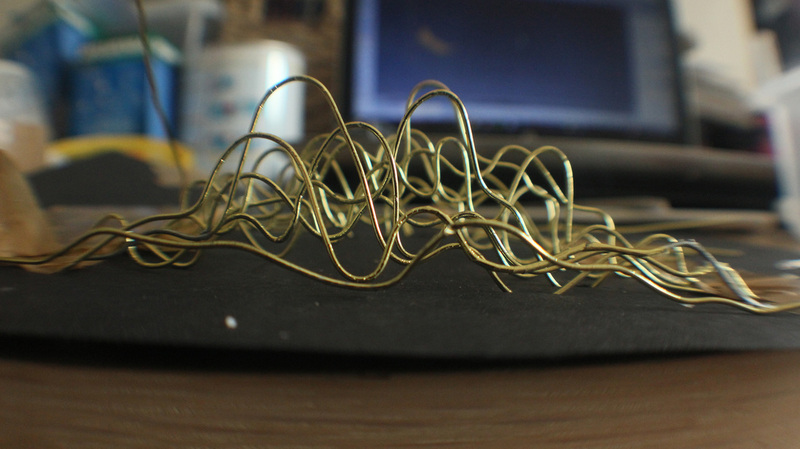 It was fairly tricky to sculpt as the wires were very delicate. I left it to dry, turned it over to complete the bottom. I hope to cast this model to regain the original shape instead of its reverse. Using the 3D models below, I created a 18 x 18 wire model which mapped the sounds into 3D. I had initially planned to interweave the wires so it created a mesh however this became too complicated so I stuck with the wires in one direction. I used garden wire for this as it was strong enough to maintain its strength but malleable enough to manipulate into shape. I really like how the piece is going at this stage. It sort of looks like sound waves in its fluidity even though it is a representation of the vibrations from the sounds in the water. 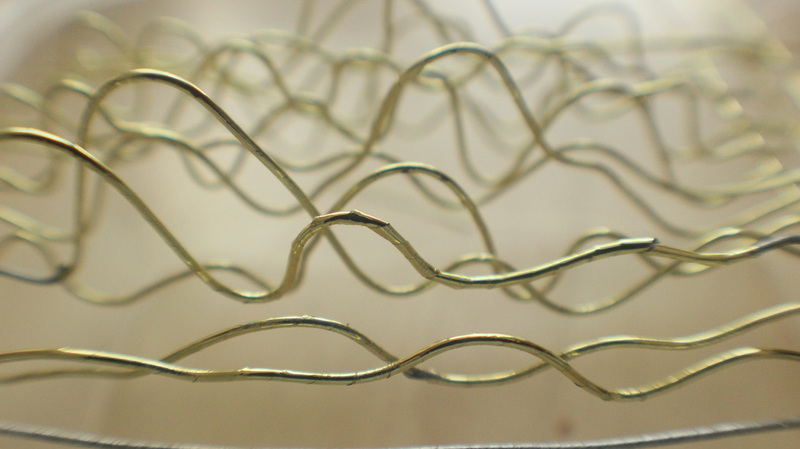 In order to give the wire sculpture a surface, I plan to paper mache it. 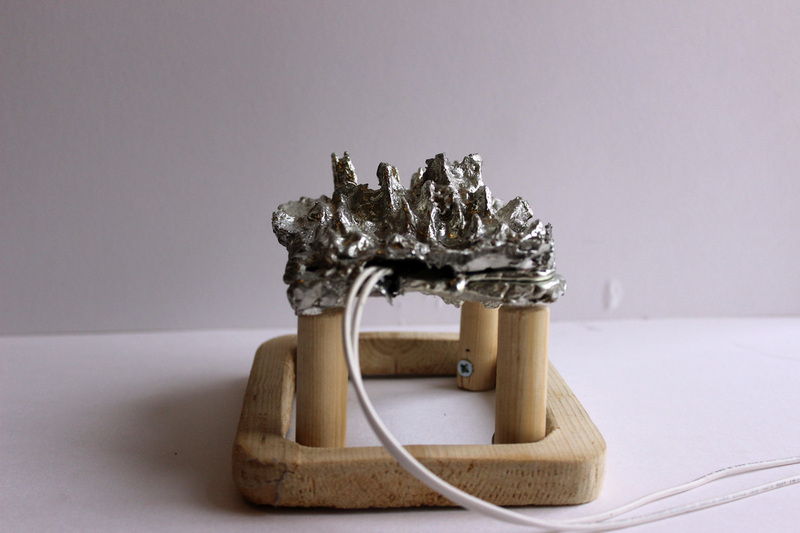 This will link each wire and also make it easier to interact with using your hands; at the moment the piece is very fragile. 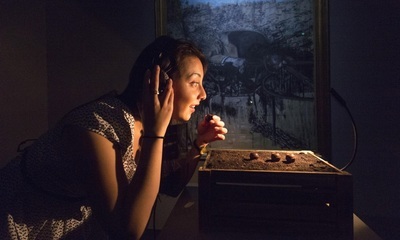 ​This Is A Voice at the Wellcome Collection in London looks inside vocal tracts, restless minds and speech devices to capture the elusive nature of the human voice. This exhibition explores how the unique grain of our voice locates us socially, geographically and psychologically and how the voice is completely flexible and can be altered with treatment and training. 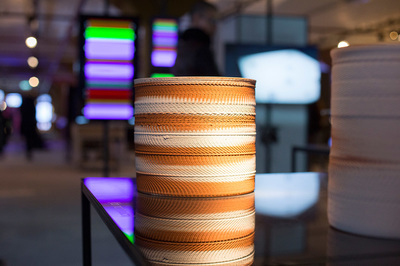 The exhibition focuses on the meaning and emotions conveyed through the patterns of rhythm, stress and intonation. Non-verbal forms of communication are emphasised, revealing the power of the voice before and beyond words. Imogen Stidworth, an artist featured in the exhibition, investigates the relationship between voice, geography and identity. This series is an attempt to describe a regional accent through various forms of transcription and translation. Stidworthy asked 30 women in Liverpool to repeat the Scouse phrase ‘Get here’; among them were long-term residents, immigrants from Somalia and actresses learning to pronounce an authentic Scouse accent. Their words were transformed by a voice analysis program into ‘waterfall plots’, which, in the prints, come to resemble fantastic landscapes. 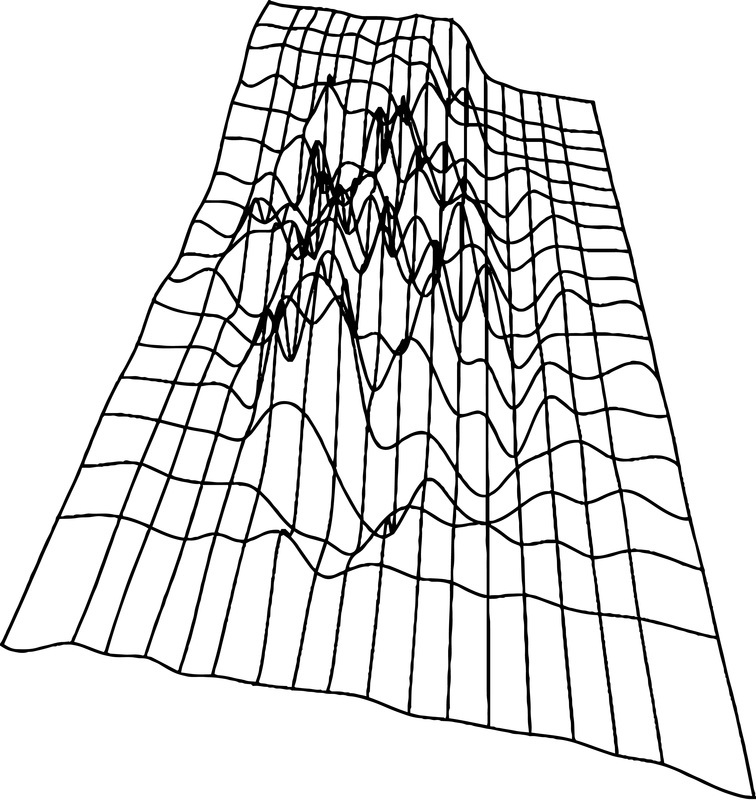 The artist has combined the diagrams, which chart decibels, wavelength and duration, with transcriptions of the words in International Phonetic Alphabet (IPA), an analysis of the Scouse accent by a voice and dialect coach, and comments by the speakers themselves about what their accent means to them. I plan to follow a similar process to covert my sound recordings into 3 dimensional objects. 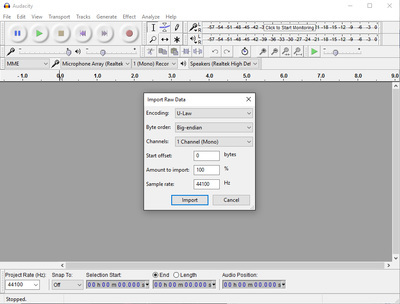 I plan to map the sounds using a piece of software into a visual map of the sounds. With the still photographs and videos I took of the vibrations in the water, I began considering how I could translate these to something tangible. 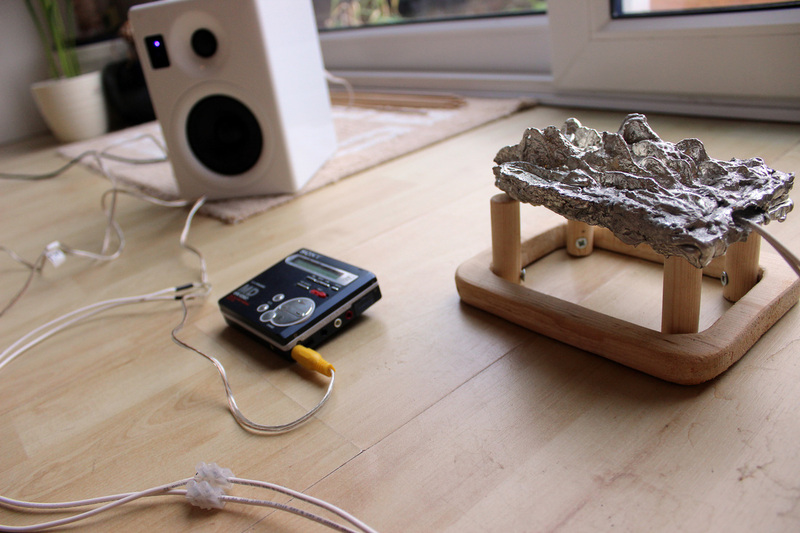 I therefore jumped to the idea of a 3D object which would become a sort of sound artifact. Due to the sounds causing the vibrations on the water, it therefore became that it was the water's surface which depicted the sounds and therefore its shapes and contours. Using a piece of software called Rhinoceros 5.0, I imported my image and converted it to a contour map using a tutorial I'd found online [link here]. 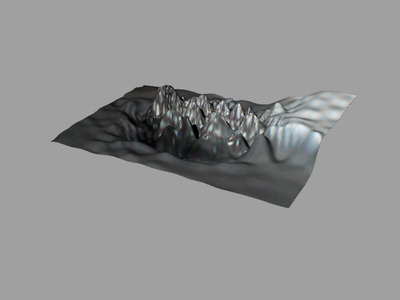 This involved creating what is called a 'Heightfield' map which uses the images and translates them to a 3D image based upon the shadows and highlights in the image. The image below shows 4 different perspectives of the image on the left in contours. In the software you are able to select the number of sample points and therefore the complexity of the contour. 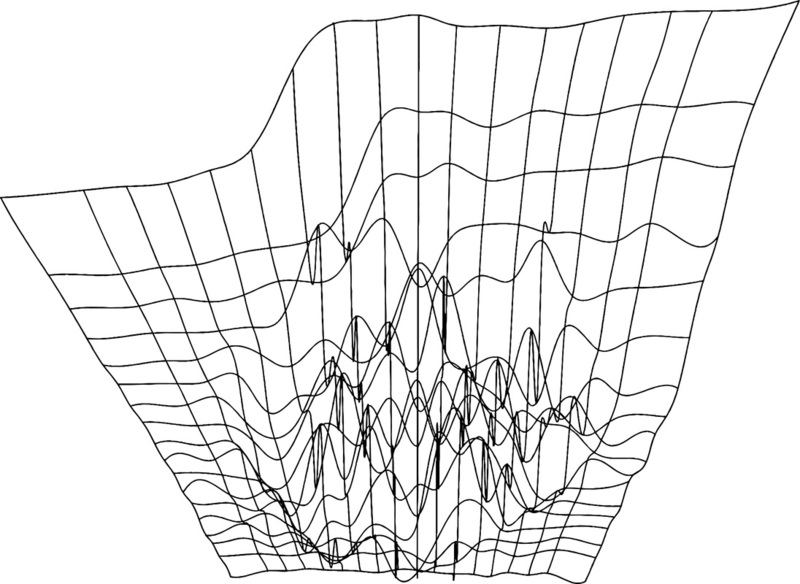 I began with 50 x 50 sample points and, as you can see in the image below, the contours were fairly complicated. What I found most interesting what the height and depth of the mapping; the 3D model shows how the photograph translates above and below being flat giving it depth and a clear idea of how the vibrations may feel to hold as a 3D object. 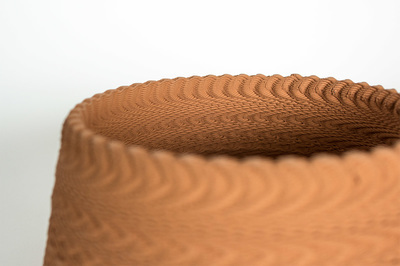 The software also renders the contours into an object by applying a surface all over, again heightening the experience of the sounds as tactile objects. Due to the complexity of the 50 x 50 model, I remapped the image using 20 x 20 sample points. This simplified the image into wider contours while still maintaining the same shape and form as before. 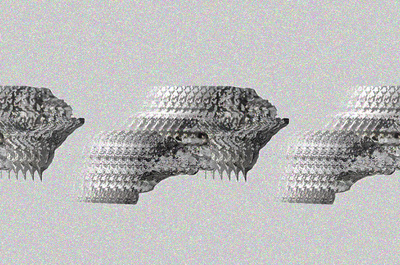 I plan to attempt to create these images as a 3D object, using the contours as a basis for the shape and surface. I feel it would be easiest to attempt to mimic the shapes using wire to create a mesh very similar to the images below. This would allow me to work on each line at a time and build the object up slowly until the mesh was complete. I could then somehow create a surface on this mesh. To help me create my mesh, I used 7 different perspectives on Rhinoceros 5.0 as below. 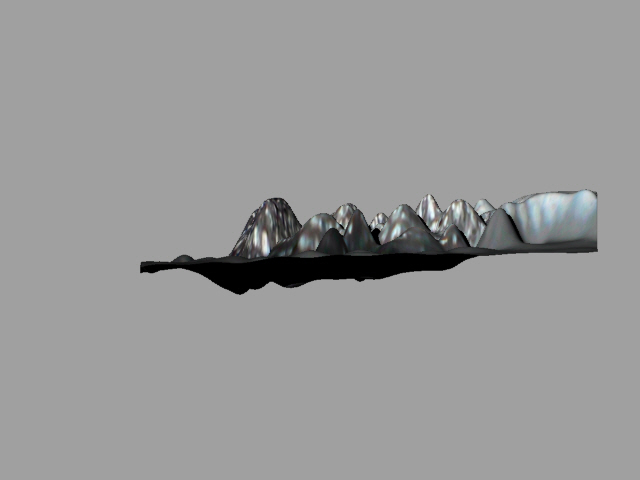 This enabled me to record the model from every angle in order to create as accurate a representation as possible. I then worked from these to create a 3D model out of wire. 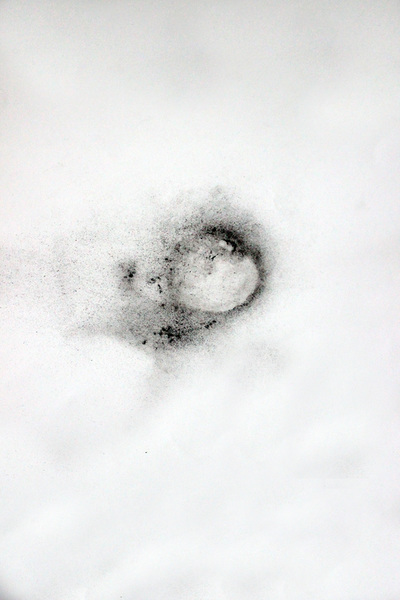 The outcome of these images looks somewhat like Imogen Stidworthy's topographs. 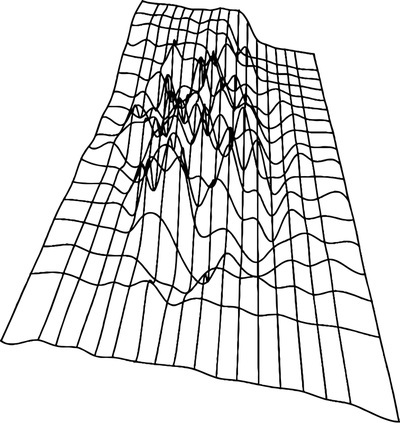 They appear landscape like and could be more easily compared to other sounds in this form by comparing the contours of the images. This would enable me to see the similarities and differences and how these can be adapted to change the image. 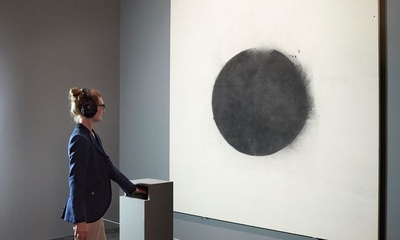 Last year I attended an exhibition at the Tate Britain which focused all 5 senses on experiencing art. Typically, galleries are overwhelmingly visual. Humans on the other hand, are not; our brain's understand the world by combining what it receives from all five senses. Tate Sensorium is an immersive display featuring four paintings from the Tate collection. The exhibition allows visitors to experience sounds, smells, tastes and physical forms inspired by the artworks, and record and review your physiological responses through sophisticated measurement devices. The experience encourages a new approach to interpreting artworks, using technology to stimulate the senses, triggering both memory and imagination in an effort to engage restless, tech-savvy audience. On leaving, visitors were encouraged to explore the rest of the gallery using the theme of the senses as a guide. 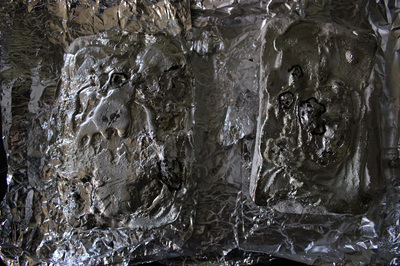 This exhibition contrasts the ideas of my Part 2 of Materials, Process and the Art of the Accident project where my final outcome encouraged people to touch the black images, only to be revealed through the heat of your hands that the paintings are not to be touched. When walking into the first gallery displaying Richard Hamilton’s 1964 collage, “Interior II,” visitors were encouraged by museum staff to look but also take a sniff. Hamilton’s collage depicts a stylish woman standing in a home with wood floors and a television set. Large areas of the canvas remain unpainted and the TV screen shows the Kennedy assassination. To reinforce Hamilton’s unfinished domesticity, the museum has tucked scent diffusers around the room that emit smells that evoke the woman’s vintage hair spray, cleaning products and the faint whiff of art-studio glue. In another gallery, there is Bacon’s 1945 “Figure in a Landscape,” a portrait of the artist’s lover napping in a park. Despite the scene’s blue sky and orange flowers, Bacon has covered the canvas in ashy black hues that hint at the wake of World War II. As people look, museum staff will invite them to try one of the truffle-size chocolates sitting on a tray nearby. The confections, designed by London chocolatier Paul A. 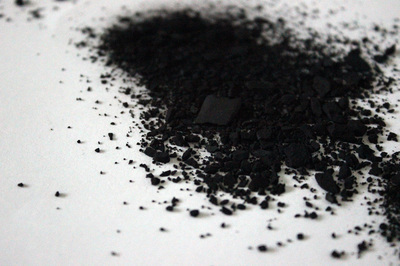 Young, are filled with unexpected flavors like edible charcoal, smoke, oranges and flowers. These combinations of the senses is something I would like to explore in this project. 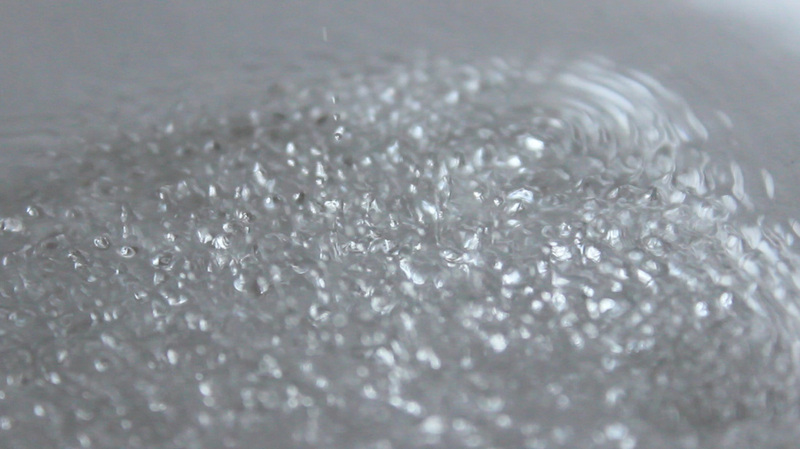 So far I have explored the visual side of sound through mapping the vibrations using salt and water. I'd love to somehow incorporate more of the senses like touch, smell or taste. I think touch would be most appropriate to begin with as I enjoy the tactile nature of objects most; I always feel things even if they appear not to have an interesting texture. It could also be interesting to somehow package the sounds of my loved ones into a tactile object that could be held or felt. This could translate to a sort of language for the blind. I plan to next explore converting the visually mapped sounds into 3D objects. Like the Sensorium exhibition, I would like to explore technology to do this. I have always been fascinated with the latest pieces of technology and how they work from the thermochromic inks I've been using to the use of augmented reality. ​Following the slightly unsuccessful experiments using salt, I began using water. I felt the fluidity of water would be more obviously disturbed by the sound vibrations and therefore lead to a stronger visual representation of the voices. 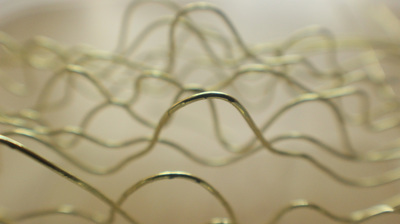 Again, Brasspup had conducted a similar experiment, playing frequencies of sound onto a hose so the expelling water formed sound wave shapes. This approach creates beautiful manipulations of water but was unfortunately too complex for me to recreate at home. 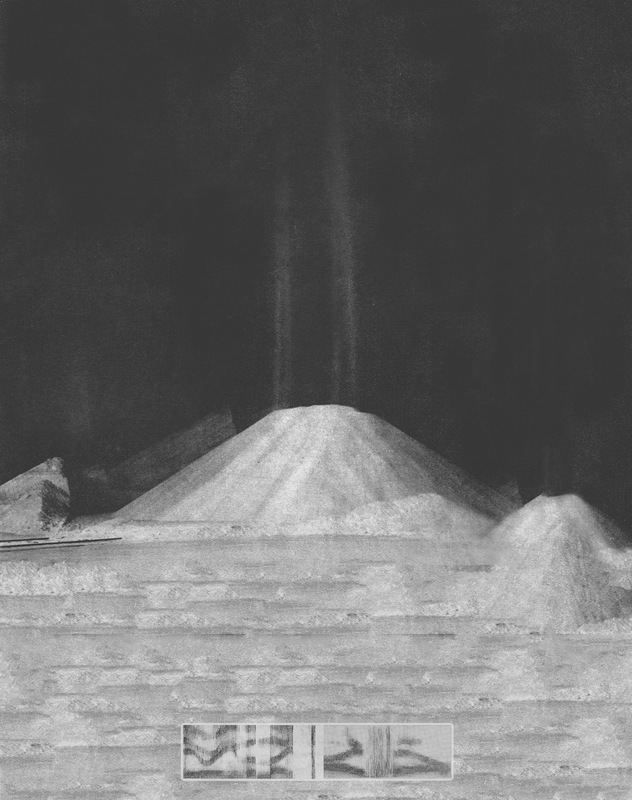 I therefore returned back to the set up I'd used when exploring the use of salt to map the sounds in a visual way. 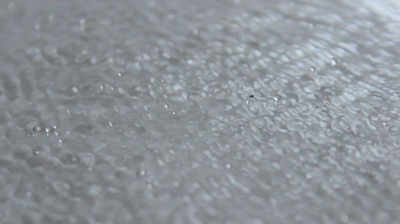 ​I used the same set up as my salt experiment, the only difference being the surface. Instead of card I used a sheet of perspex atop a white piece of paper. I contained the water on the perspex by creating barriers using parcel tape. 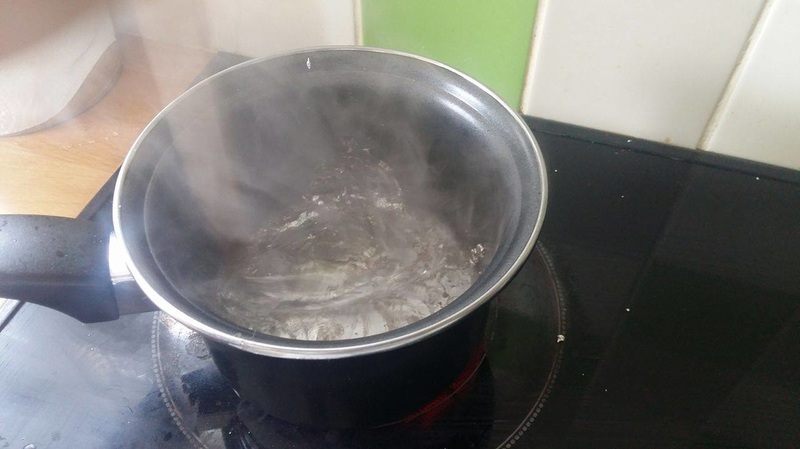 I poured the water approximately 1cm deep. 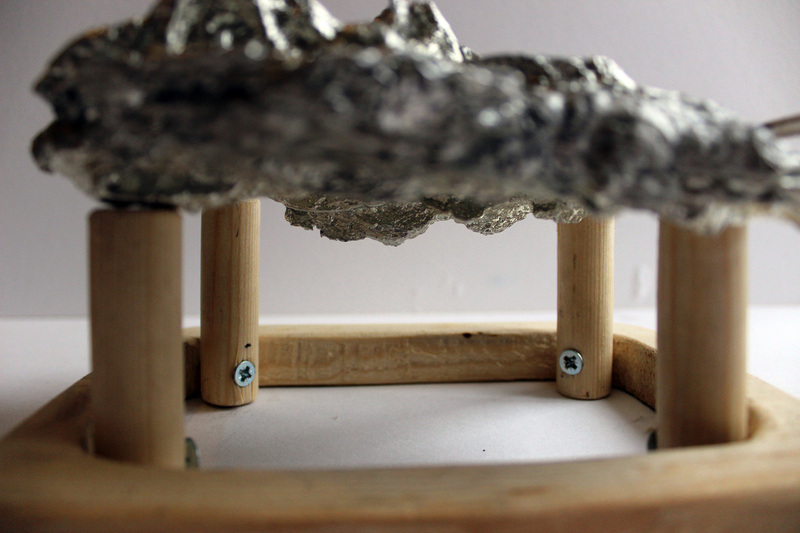 I wanted to keep the depth fairly thin to allow the sound to travel through it, therefore creating the vibrations. 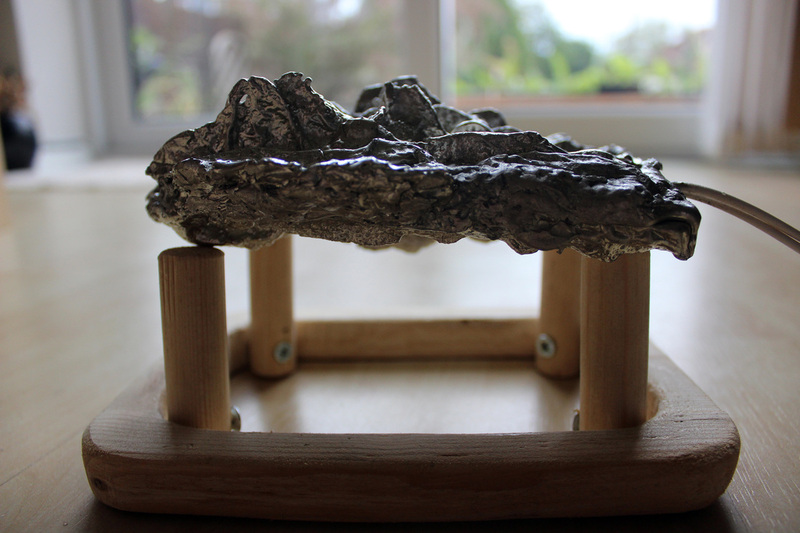 I used a spirit level to ensure the perspex was flat at that no water would run off the edges. 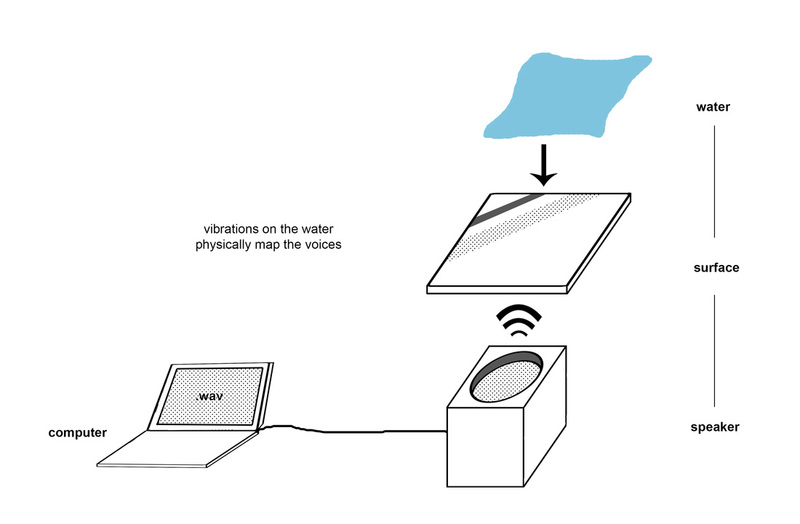 As you can see from my documentary videos below, the sound waves travel through the water causing vibrations to appear on the surface, therefore visually mapping the voices into a see-able medium. It was really interesting how the sounds vibrations dispersed in a cyclic manner from the centre of the speaker outward into less and less intense ripples. Perhaps I could utilise this as an aesthetic property of my final outcome. I also documented the process using a macro lens on my camera. 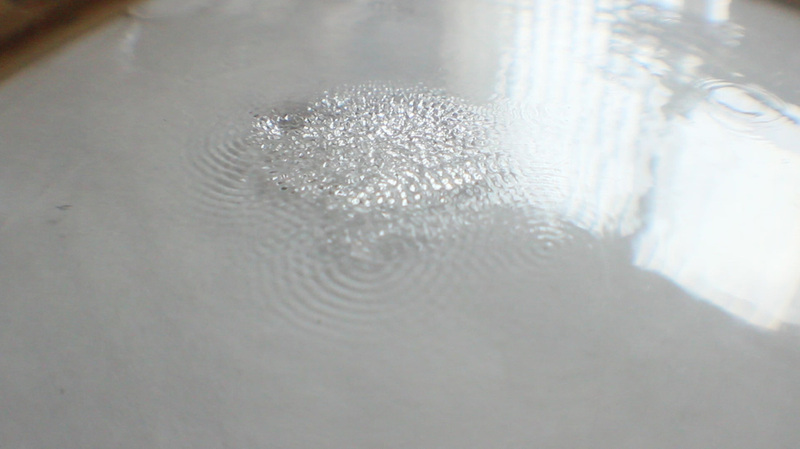 This picked up details within the ripples which couldn't be seen by the naked eye, for instance, when viewing the vibrations I didn't notice the splashed of water being created in tiny molecule-like balls. 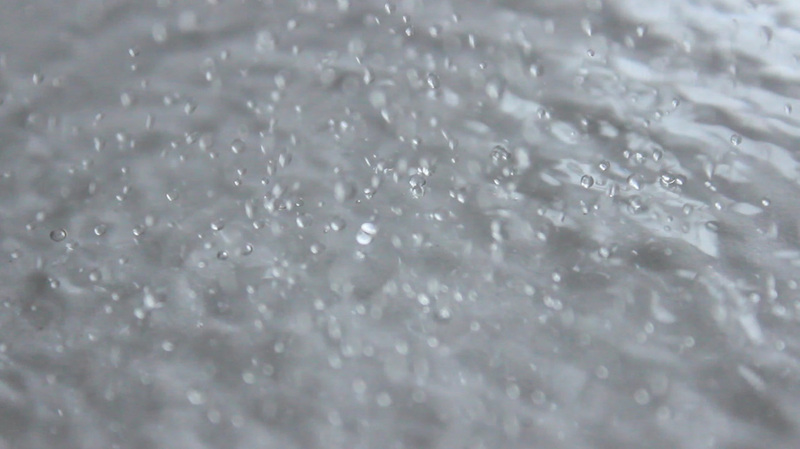 When zooming in and slowing down the footage, you can see how the vibrations cause the water to disperse quickly and then group back together quickly causing splashes. Using Photoshop, I imported my videos here as layers, enabling me to break each video down into frame so they could be analysed more easily. 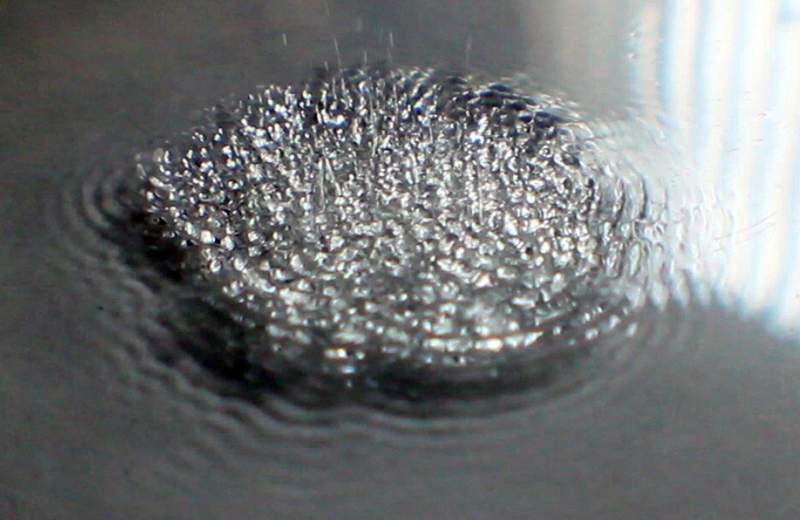 The outcome were beautifully detailed photographs which captured the movement of the vibrations in a still moment. This allowed me to really understand how the vibrations traveled from the centre of the speaker, dispersing out to quickly return to the centre causing collisions which created the splashes which would land on the water's surface to create more ripples. In turn, these images act as a visual representation of the phrases from the voice recordings translating sound to sight. I plan to now attempt to remap this translation to touch, smell or taste, thus including more senses and exploring the interaction between them as I set out in my brief. Studio van Broekhoven is a laboratory that explores the realm of design and architecture through sound. By using natural forces and processes, unique objects and immersive environments are shaped. I am particular interested in the images below. 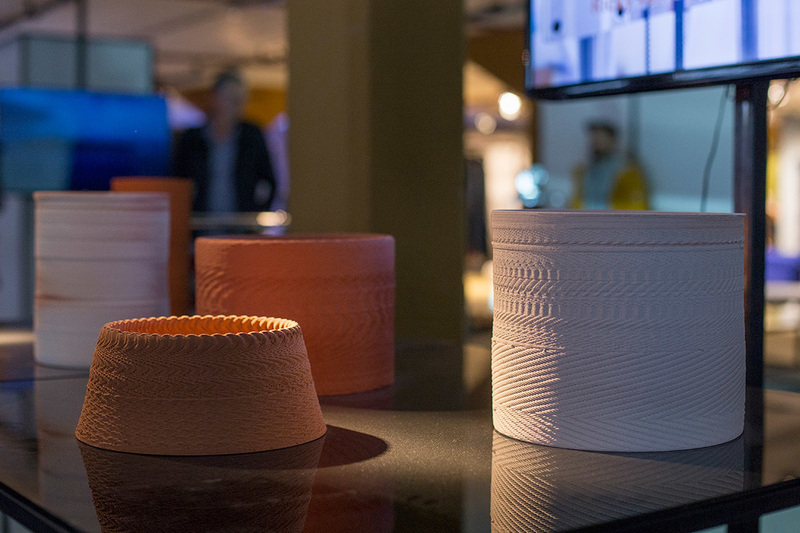 These pots/sculptures were made using a 3D printer which printed onto a pottery wheel which is exposed to vibrations of sounds. This therefore moves the wheel which causes aesthetic vibrations in the 3D print essentially mapping the vibrations to a 3D object. 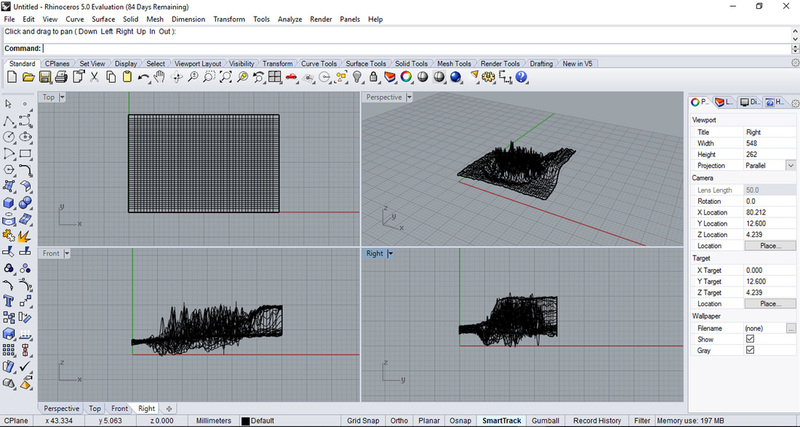 Using a similar method to above, I constructed a process where by I replaced the 3D printer with a pencil. 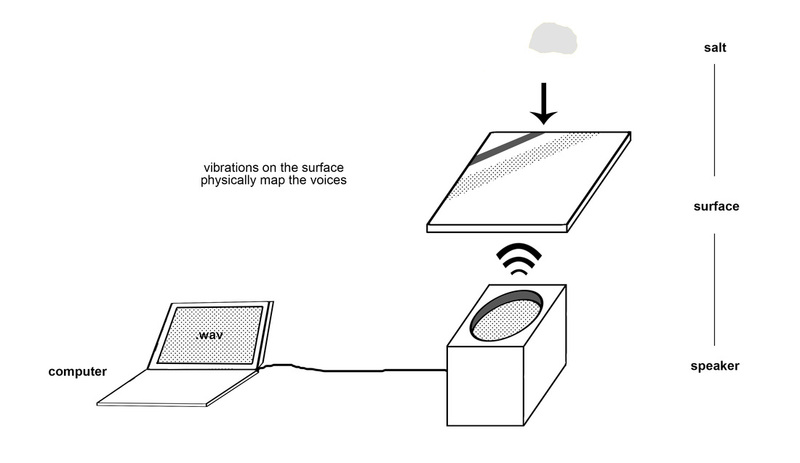 I lay the page on the speaker meaning it should move under the vibrations and the pencil etch shapes onto the page. This completely failed. The pressure of the pencil was too great on the paper meaning it didn't move at all. To overcome this, I returned back to the idea of particles like the salt. Instead of salt, I crumbled up some charcoal. 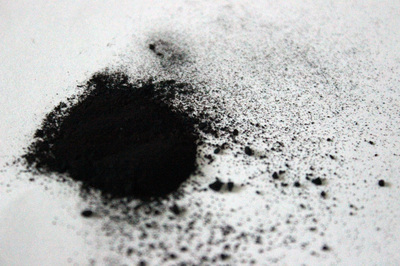 This meant that when the charcoal moved like the salt, it would leave traces on the page, essentially drawing the vibrations. Like the salt experiments, I recorded my process. 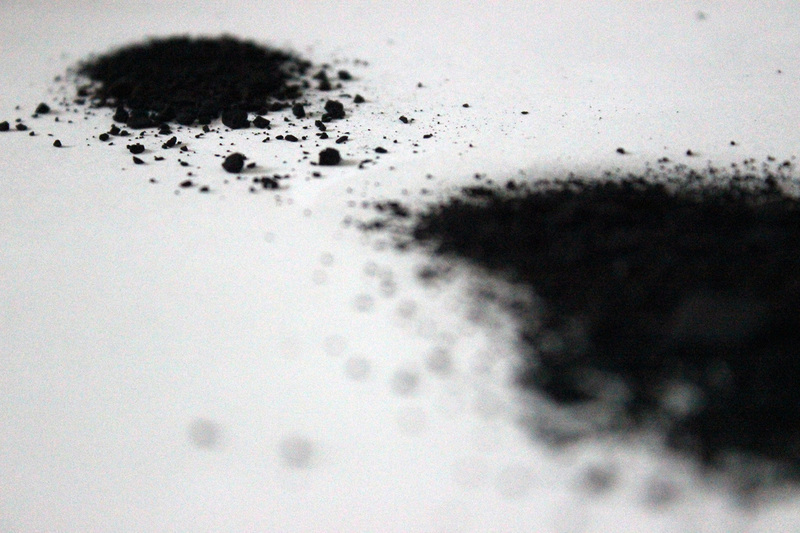 You can clearly see the vibrations disrupting the charcoal and, once removing the charcoal, you can see the journey the particles have taken. I explored a variety of adaptations of my experiments. I maintained the volume at approximately 100db (any louder would have been inconsiderate on my neighbours). In the last test I placed the paper on a larger sheet of card. This made it flatter and therefore spread the vibrations without the influence of the edges of the paper overhanging the speaker. 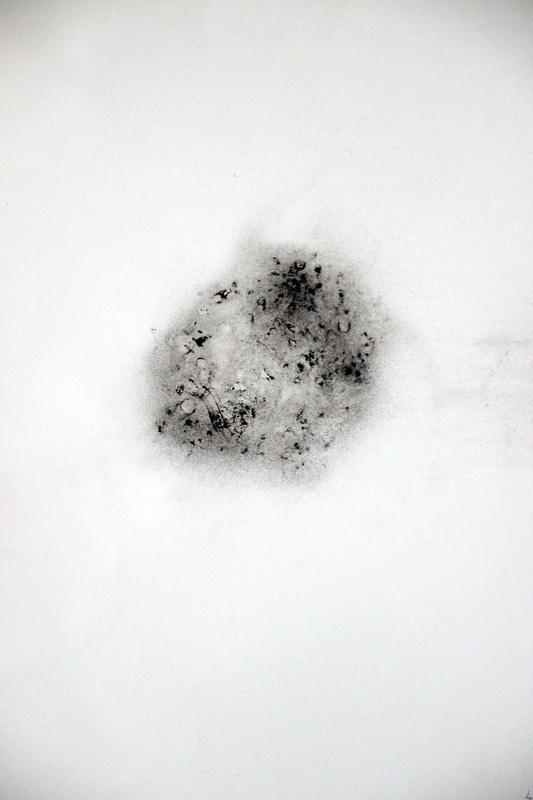 In one experiment I also sprayed the paper with spray mount. This made the surface tacky and encouraged the charcoal to stick, making the vibrations easier to visualise. 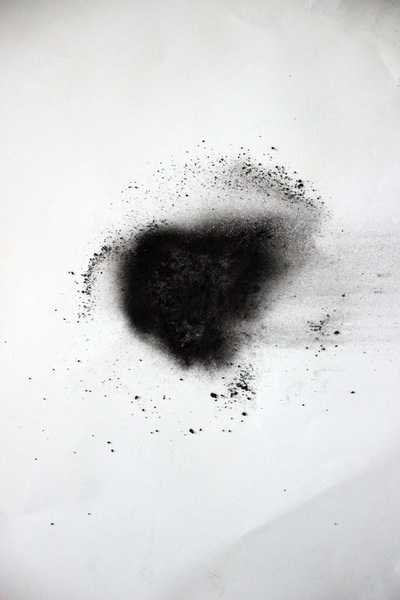 In addition to the videos, I photographed the journey of the charcoal as below. These images are really interesting. You can see a sense of journey from the center of the page outward. The image with spray mount (last of the 6) is the most interesting in my opinion as the motion seems multi-directional; instead of the vibrations appear to circle out, the charcoal suggests the particles are being drawn in 3 directions. The experiment to the left is the Chladni plate experiment. 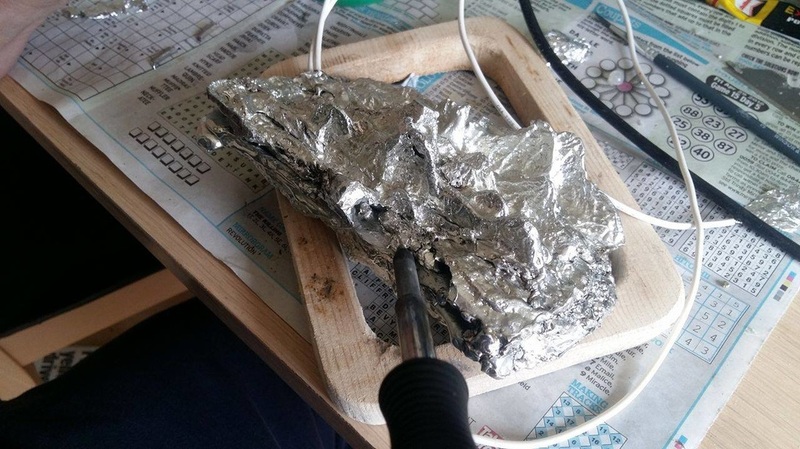 Using a tone generator, a speaker and a metal plate attached to the speaker, the test involves adding sand to the plate then playing a tone. 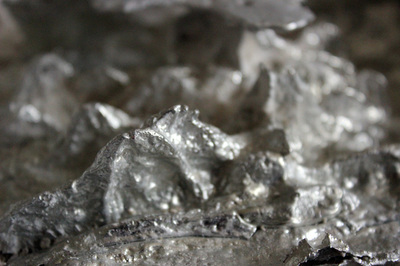 Certain frequencies vibrate the metal plate in such a way that it creates areas where there is no vibration. The sand "falls" into those areas, creating beautiful geometric patterns. 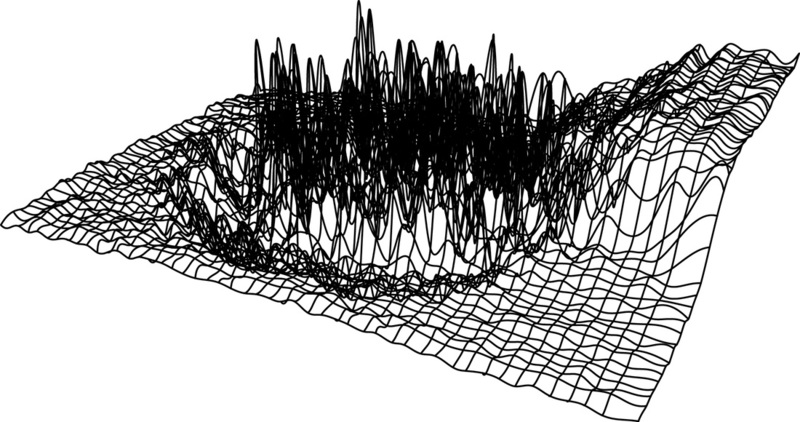 As the frequency increases in pitch the patterns become more complex. With this idea, I devised a similar experiment by playing the voice recordings through a speaker below a sheet of card atop with salt. Below show the outcomes from this experiment. As you can see, my version wasn't as successful or visually appealing as Brasspup's version. Nothing particularly out of the ordinary occurred like the patterning in the images above. This may have been through different in equipment or the differences in recordings. 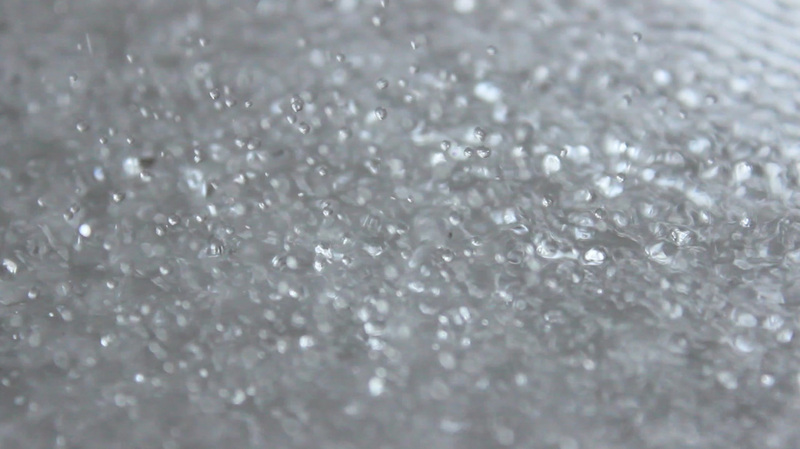 What was interesting however was the dispersal of salt grains and how some appeared to group and others separate simply due to the vibration through the surface. When recording my sound clips, I kept the visual elements on my camera enabled, thus recording a visual representation of sound through the movement of the mouth. I hadn't actually planned this though it is interesting to assess the connection between the sound and its source. After researching lumetri scopes further, it appears the wave-forms below are based upon the visual aspects of the clips, not the audio. Lumetri scopes are used for color grading clips by making adjustments in the Lumetri Color panel in Premiere Pro so ,in effect, what looked like a visual translation of sound into wave-forms, was actually a visual translation of colour to wave-form. Before I'd learnt that lumetri scopes had nothing to do with sound, I'd layered the wave-forms on top of the original video to compared the movement. Initially I believed the sound was translated to the waves; both appeared to move at the same time, how I'd expected the to however, on reflection, you can see by looking at the movement of the wave-form and the video that the change in wave-form is more congruent to the movement of colour in the video and less alike to the sound. Using the idea to voice record my close friends and family, I set out with my camera which has a built in microphone and did just that. So far I have clips from my brother, Nan and cousin. I considered doing more and may still do so, though 3 is a good starting point. I simply asked them to say the phrase I chose which reminded me of them or a memory which I associated to them. 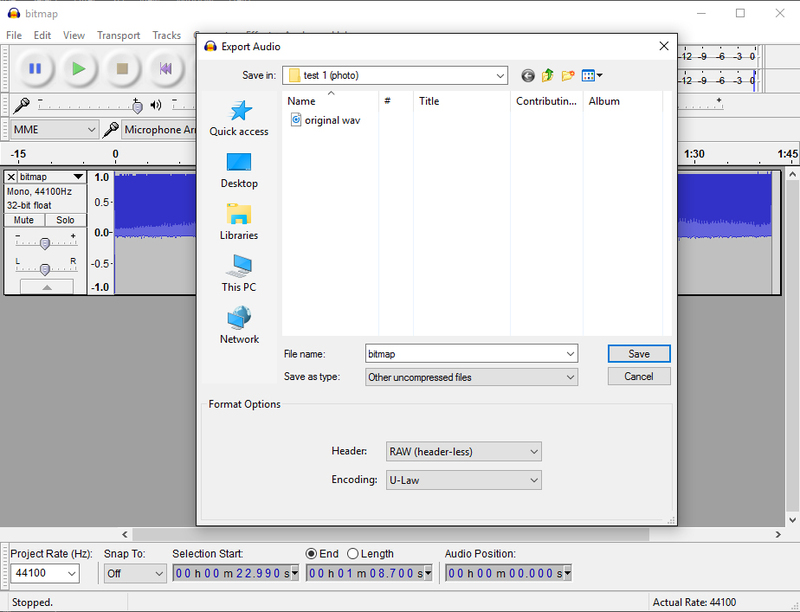 I then looped the audio and uploaded it to Soundcloud so I could easily access it. This also provided a database for all the recordings. I found there's something quite unnerving about the recordings being played over and over again. It almost becomes like a voice in your head nagging away (something my Nan is quite good at!). My initial thoughts with this project stemmed from the ideas of creating something visible from the invisible, something tactile from sound. This interest sparked during a Cultural and Critical Studies lecture on sound art which you can find an comment on here: Auditory Culture and Experimental Sonic Art. Due to the project being personal, I've decided to begin with sounds personal to me; the voices of my closest friends and family. I'd thought about what I would like them to say and decided upon phrases and sayings personal to each individual, phrases that reminded me of them or sparked a memory in my mind. With this, each tactile image would begin a narrative. Nan “It’s all good fun innit” A phrase my Nan says every morning when she calls to check up on us. The phrase has become comical in its repetition and has become associated with a well known comedy character on television. Chris “What’s an epiphany?” A funny incident at a cinema where my brother said this phrase, followed by my cousin, my other cousin, myself and then the character in the film. James “I’ve got the power, POW” A phrase screamed at the top of his lungs on a family holiday. The phrase is associated with happy memories of holidays but also a sense of mischievousness. Elf “Do chameleons come from Canadia?” A humorous phrase due to the naivity and silliness. Those around when the phrase was said led to fits of laughter. Dad “Champion-ey” A phrase my Dad says whenever I achieve something such as winning a dance competition or getting a good grade. 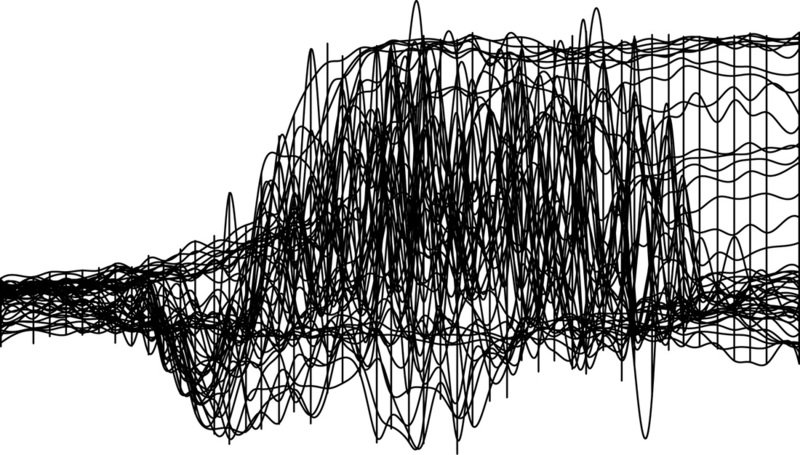 ​With these ideas in mind, I conducted some research into how to visualise the sound recordings. The video below shows an example of art that utilises more than just sight. 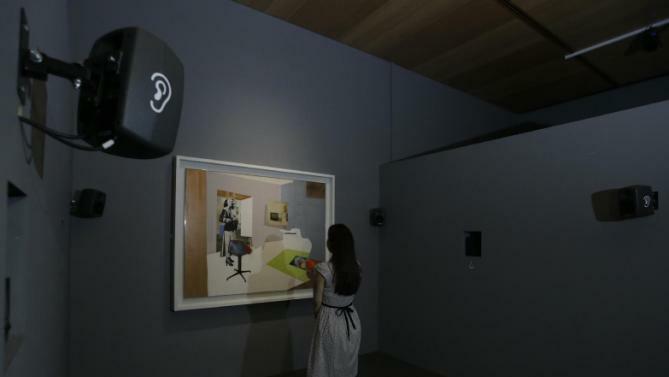 An artist has converted famous paintings into 3D, allowing blind people to experience them through a sense of touch. This broadens the inclusiveness of the works from only sighted people, to those who have no sense of sight. It also combines sight and touch for sighted people which gives an insight into how the senses interact. This area of interest began in my Drawing Upon Inspiration [link here] project back in Semester 1 where I explored the ideas of tangible drawings. I experimented with the ideas of braille and embossing to create a textured image which I hoped would translate into an image in the minds' of sightless individuals. 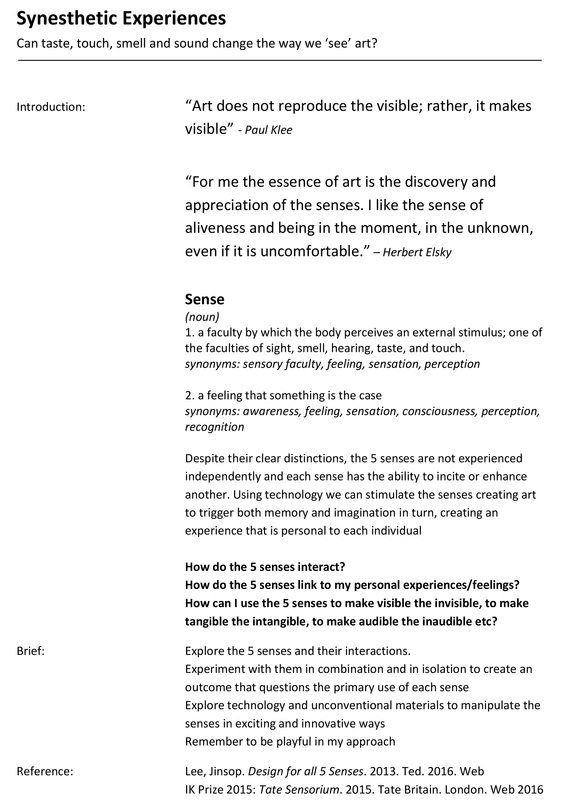 I hope to extend upon these ideas further in this project by exploring how senses combine and interact to produce work that has a language of its own be that through sound, physical touch, taste, smell or sight.